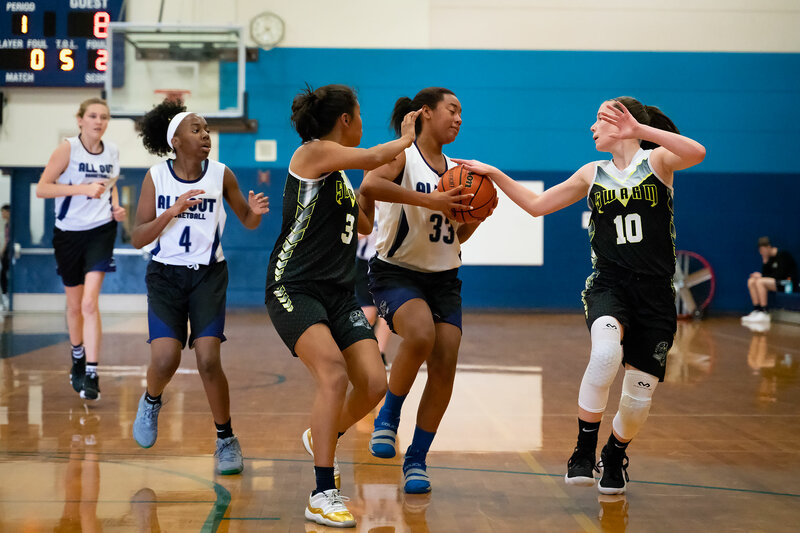 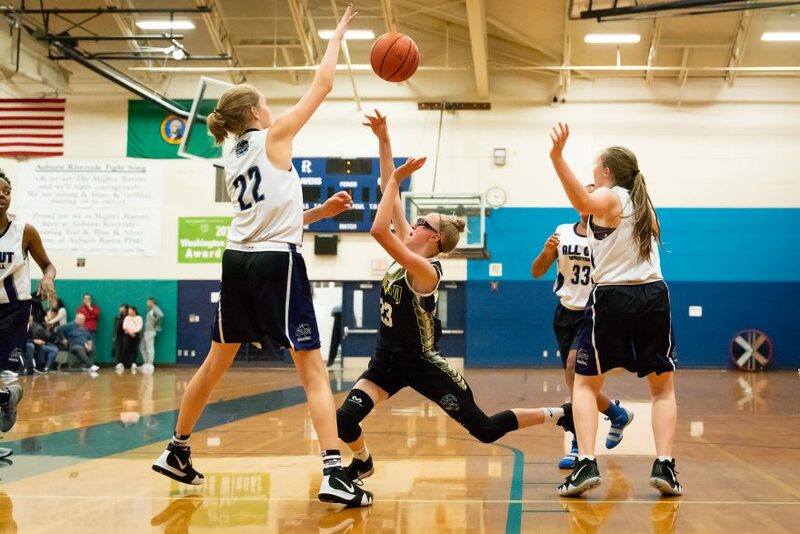 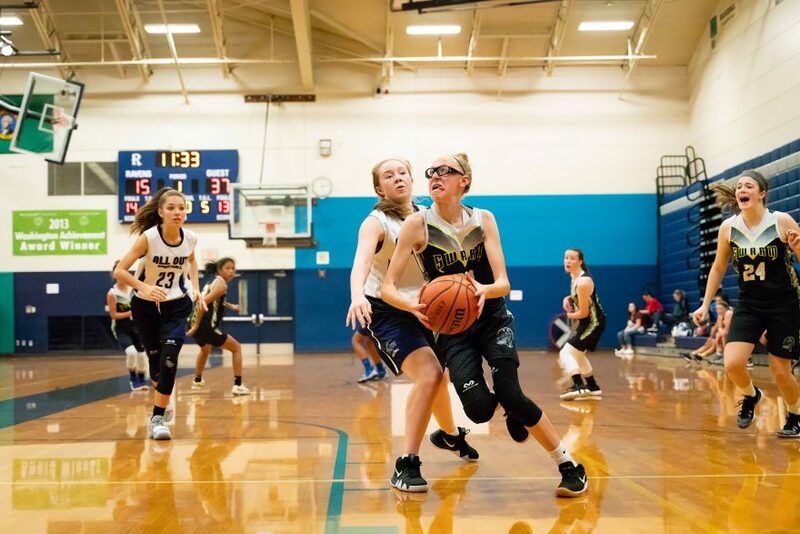 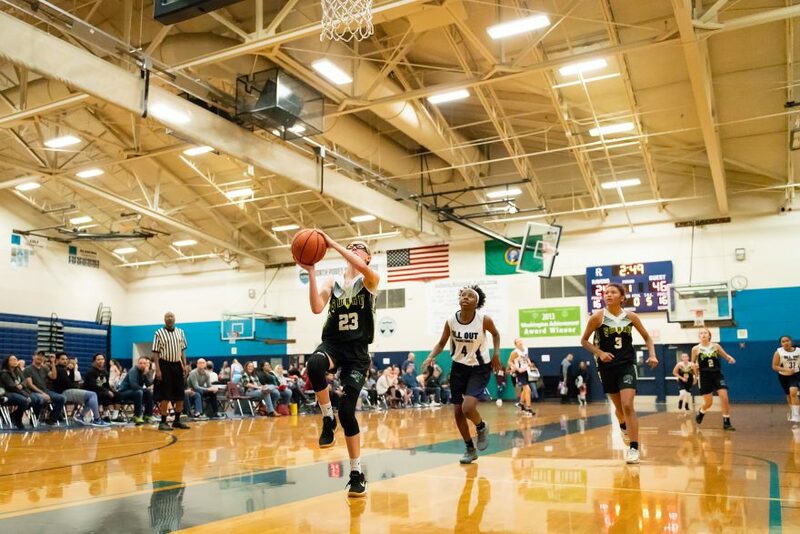 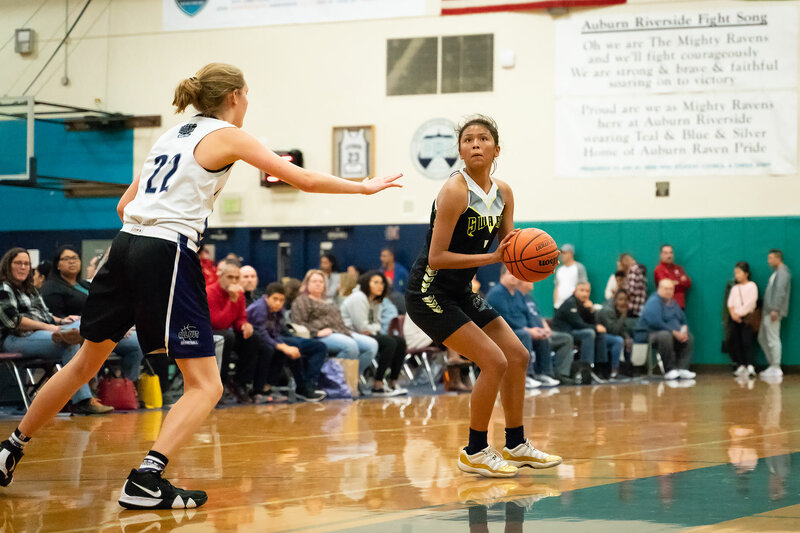 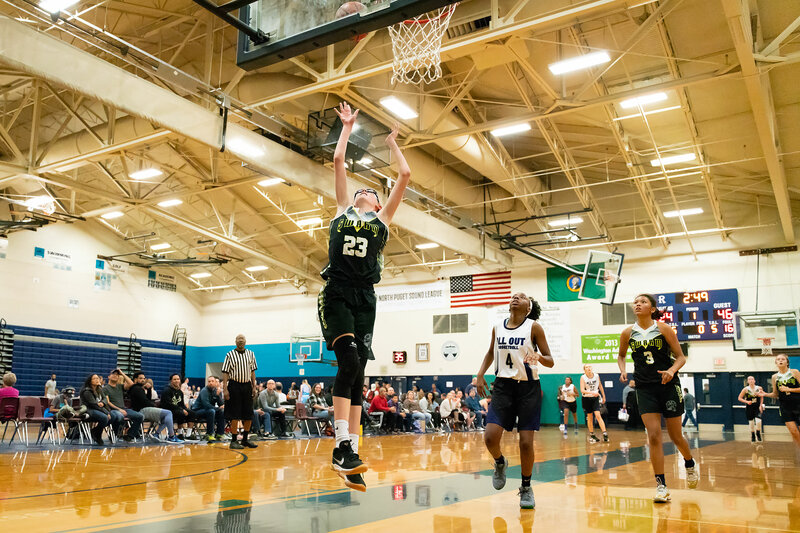 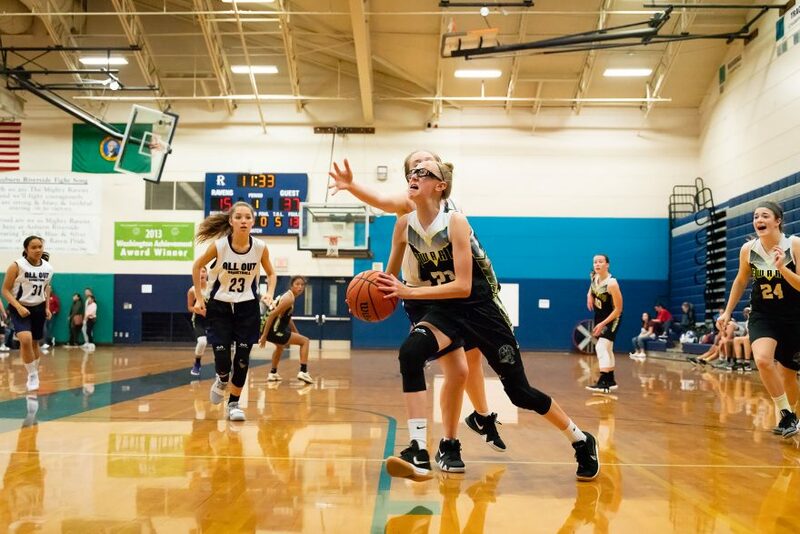 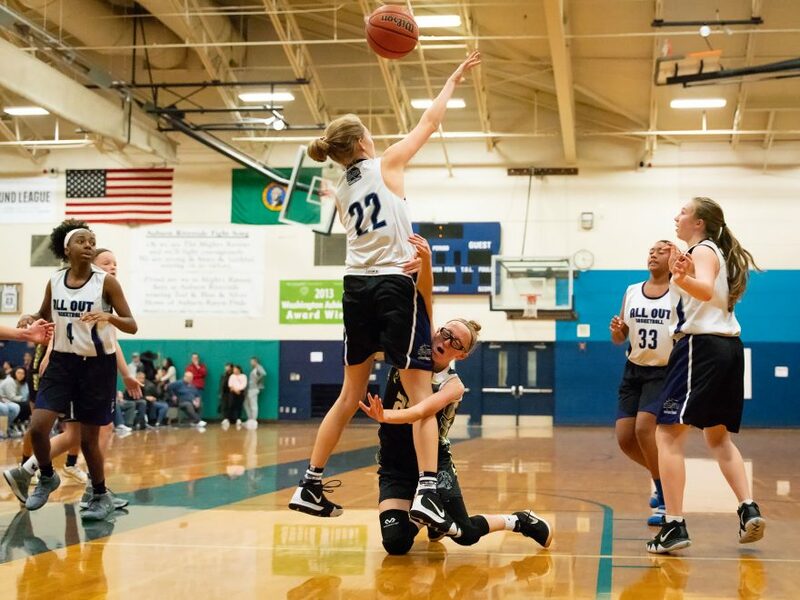 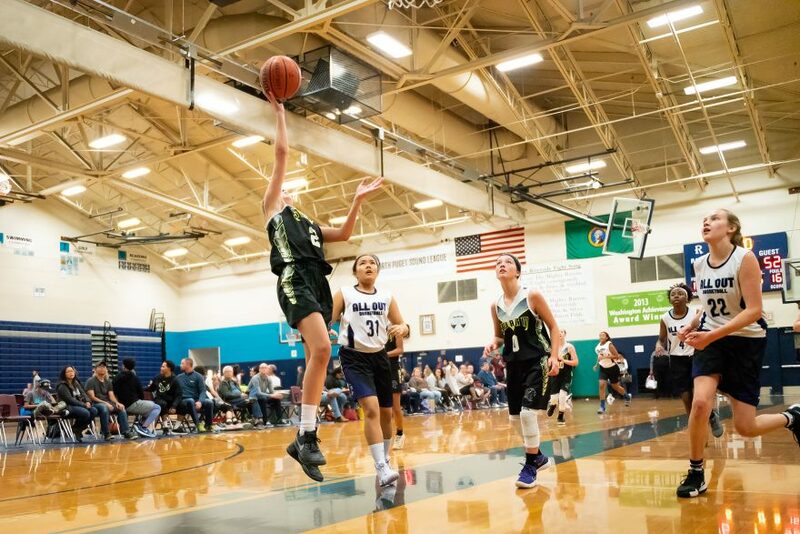 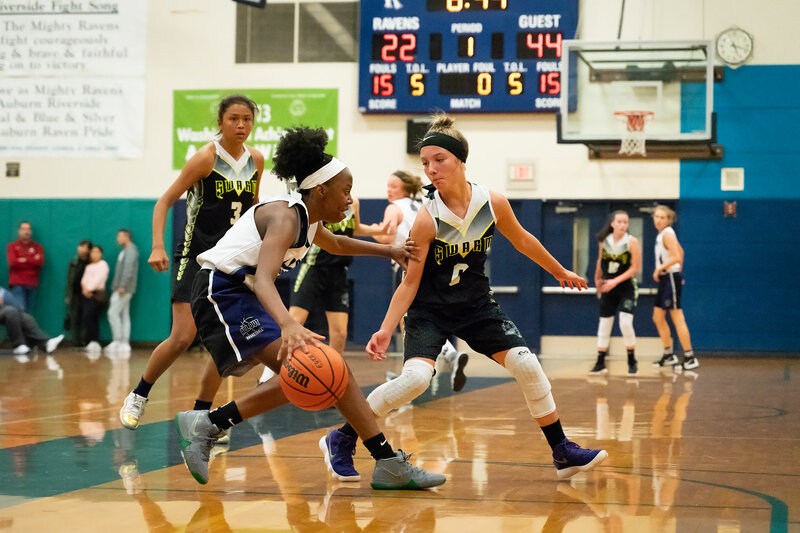 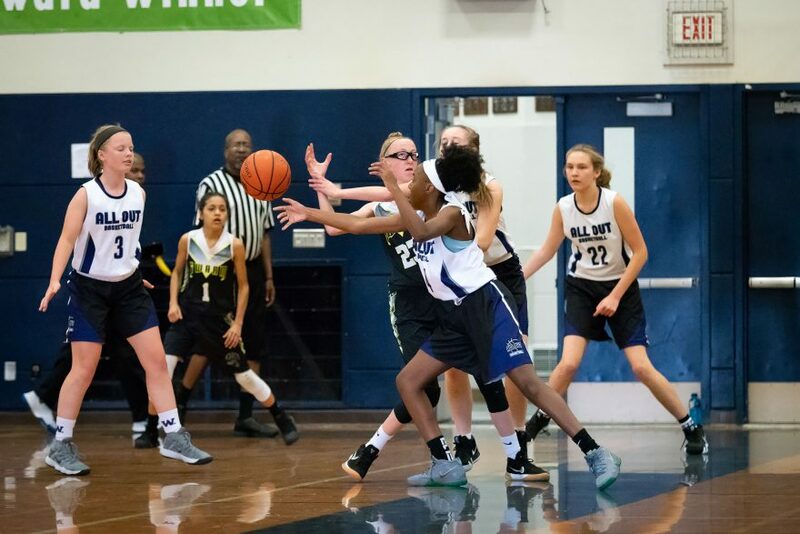 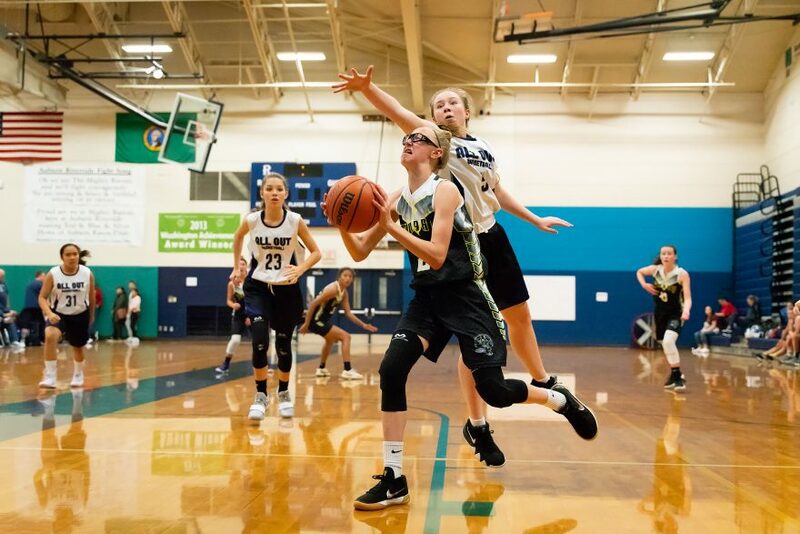 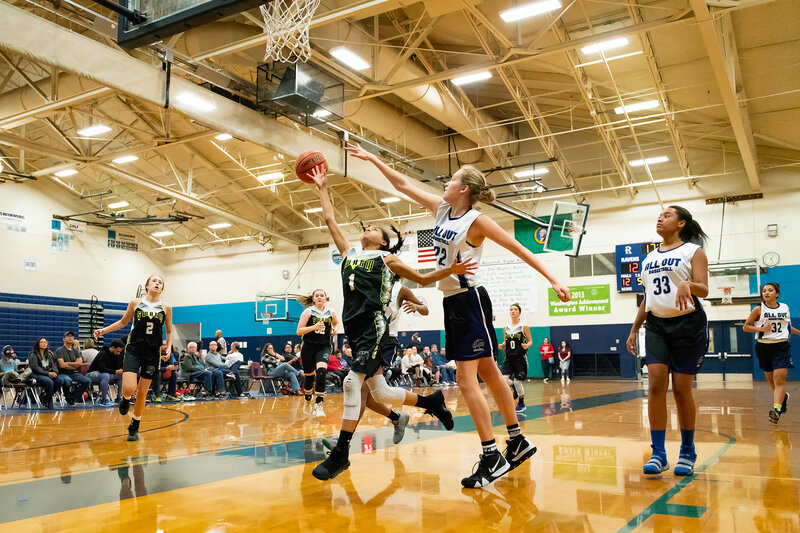 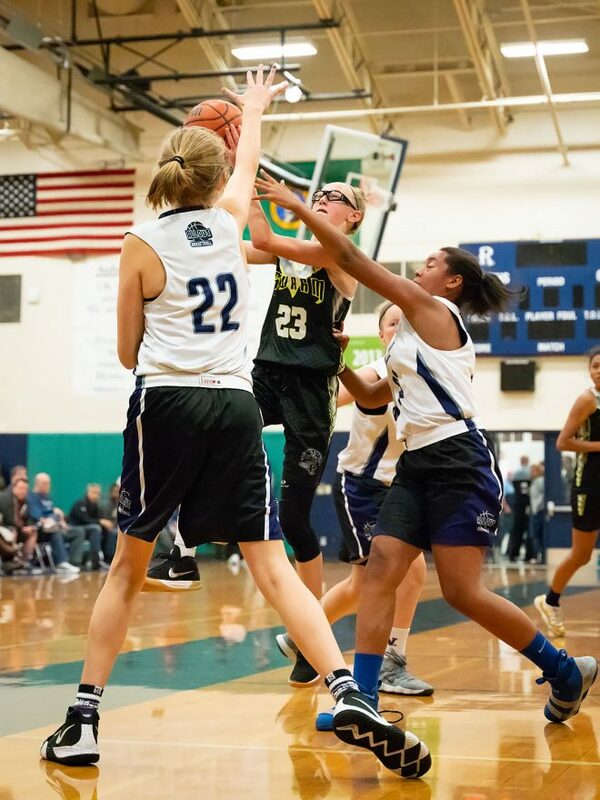 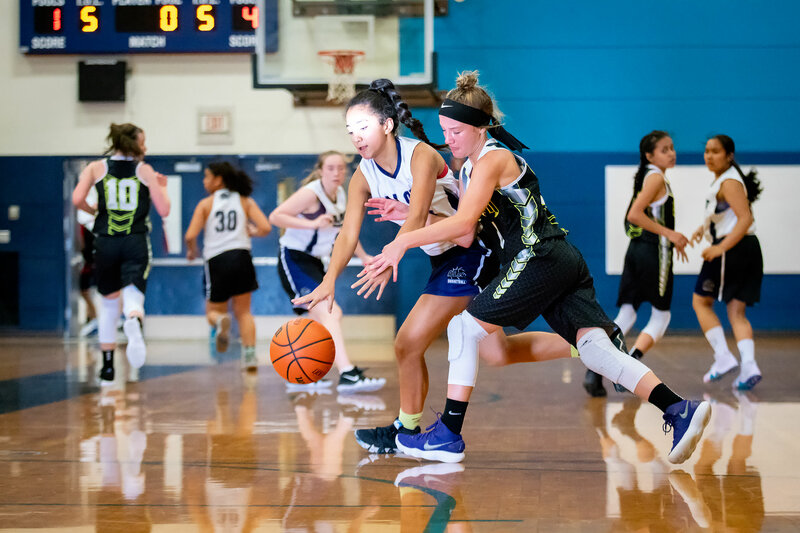 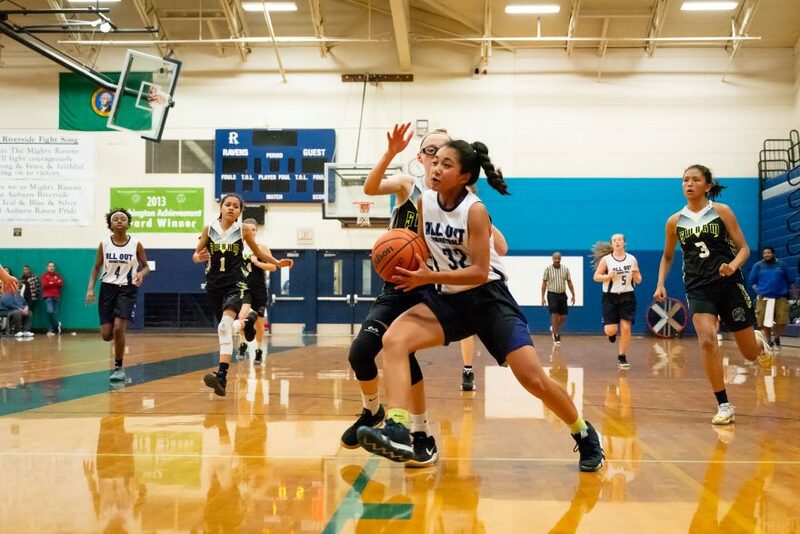 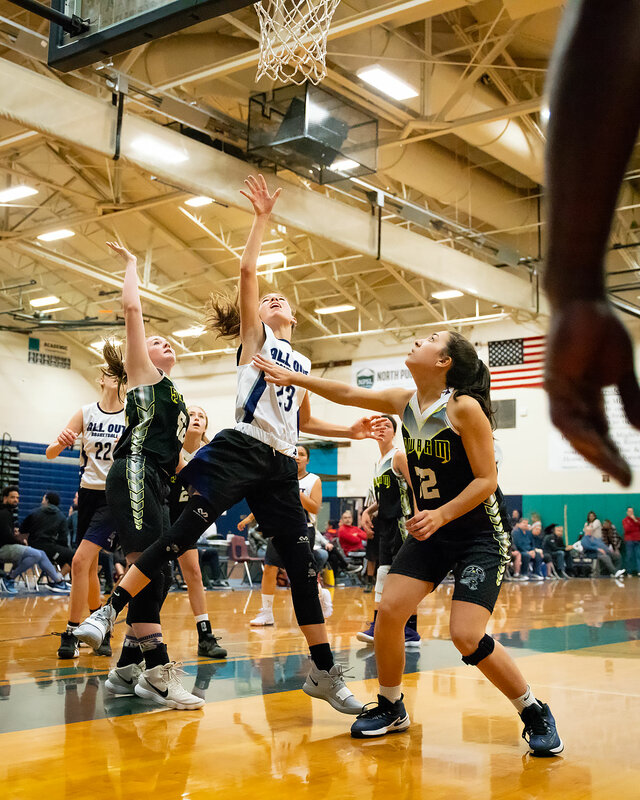 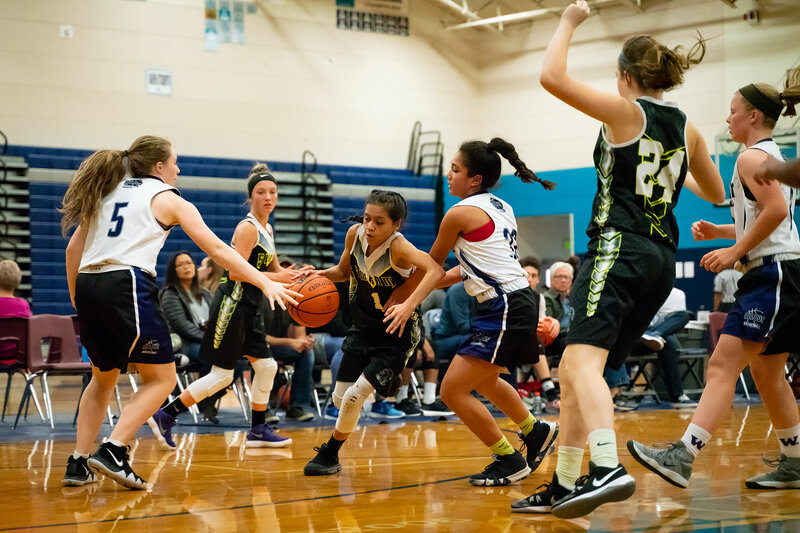 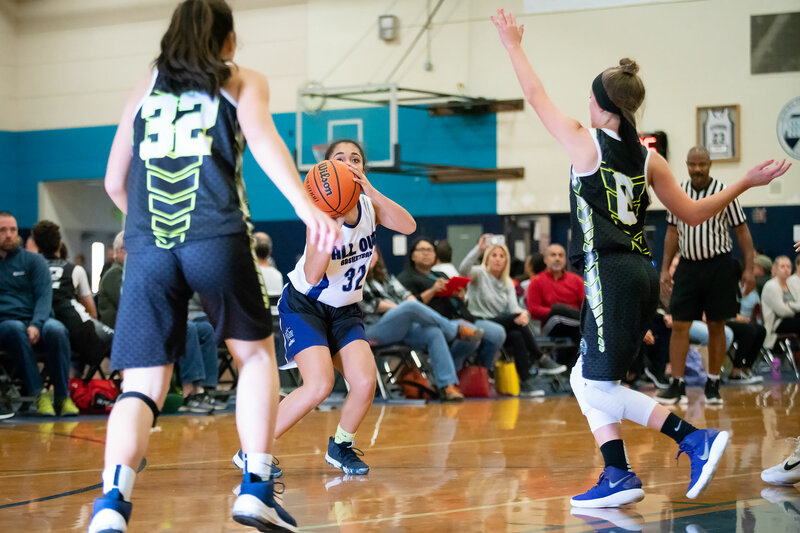 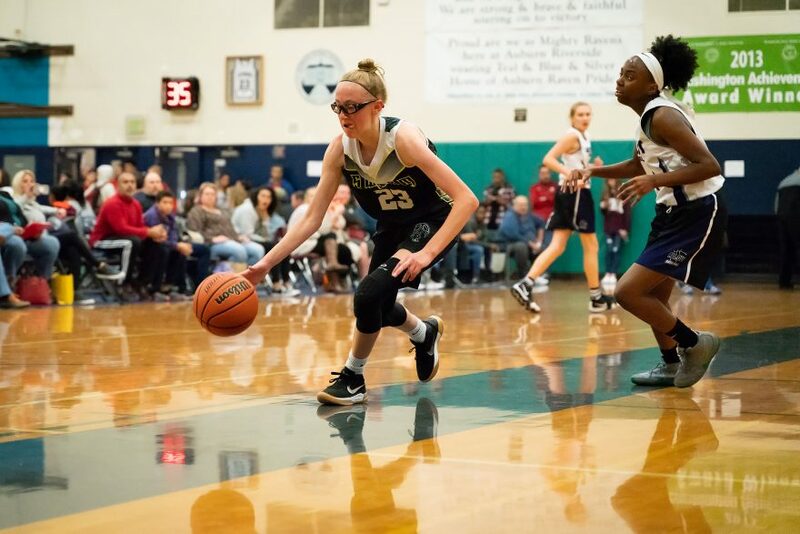 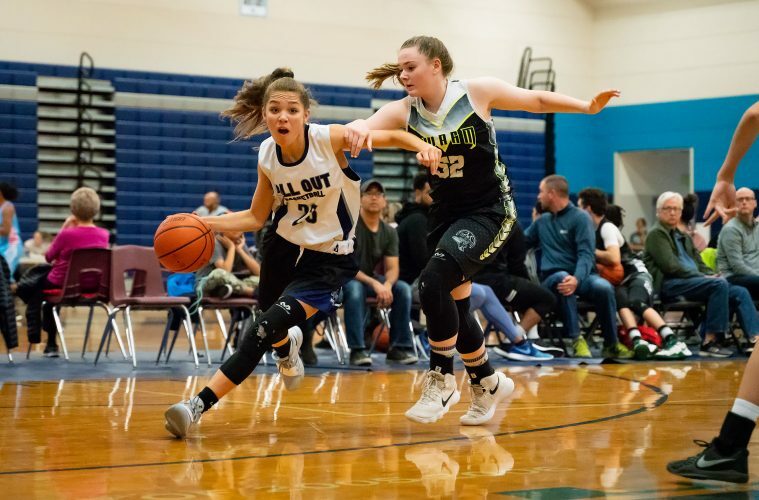 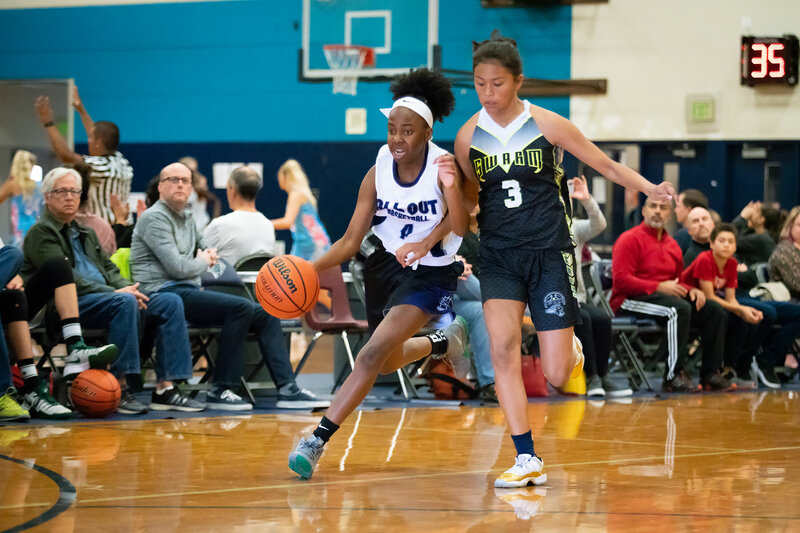 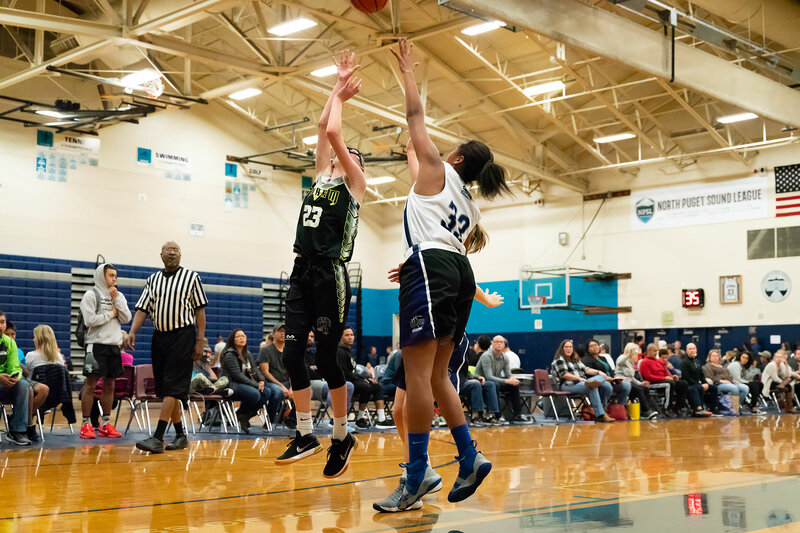 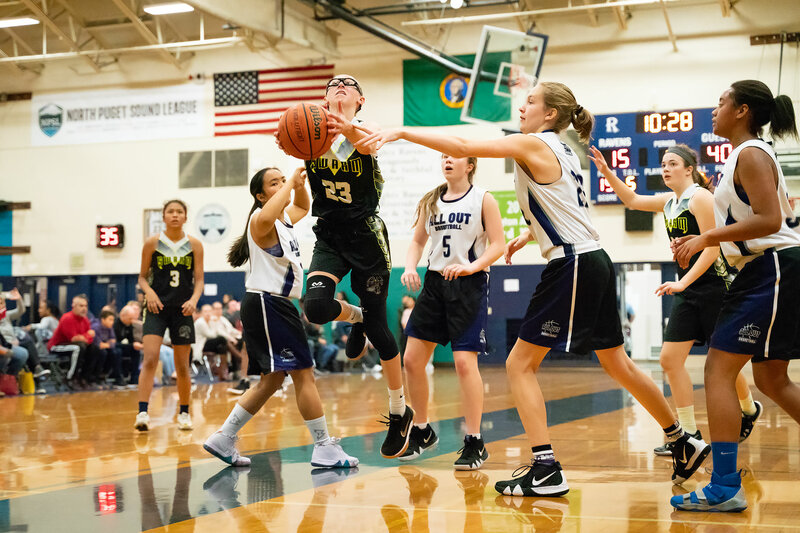 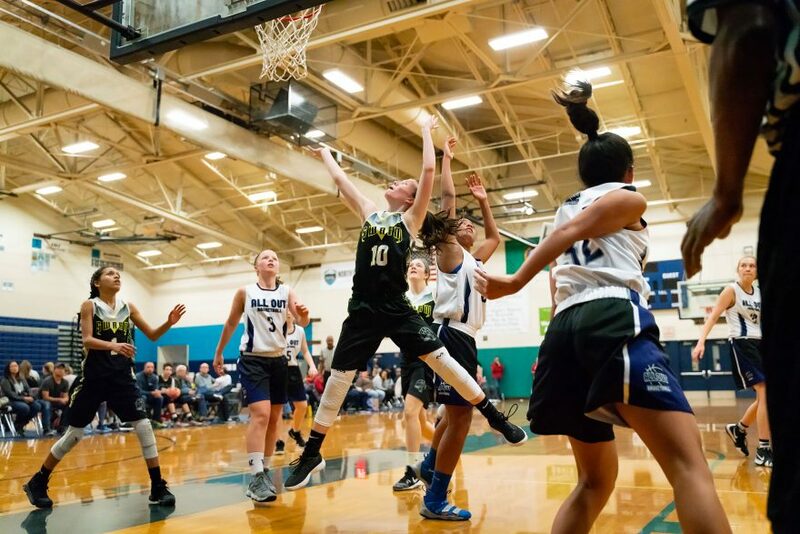 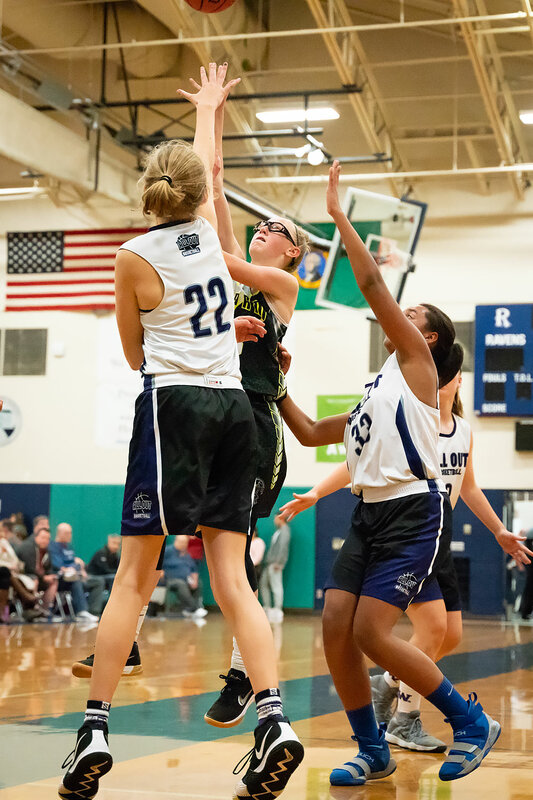 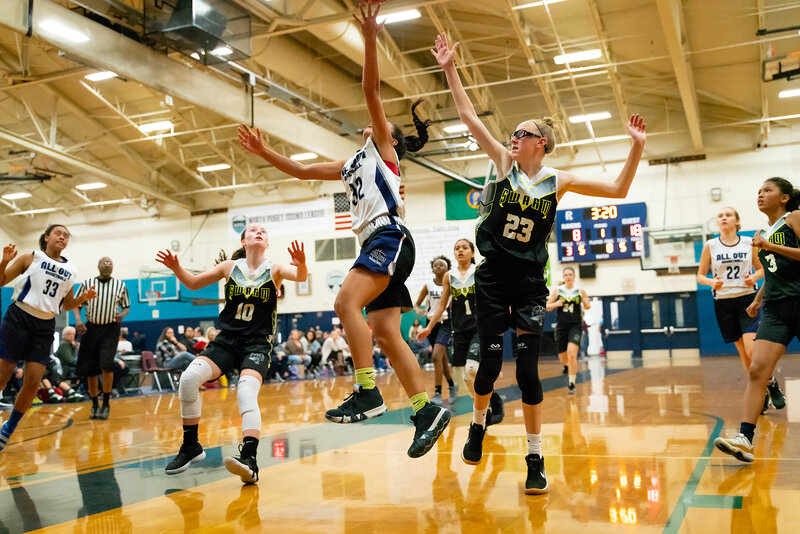 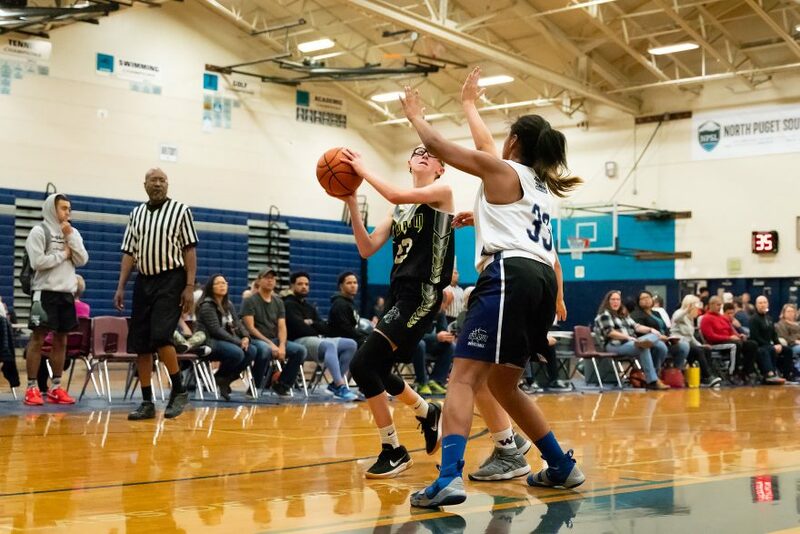 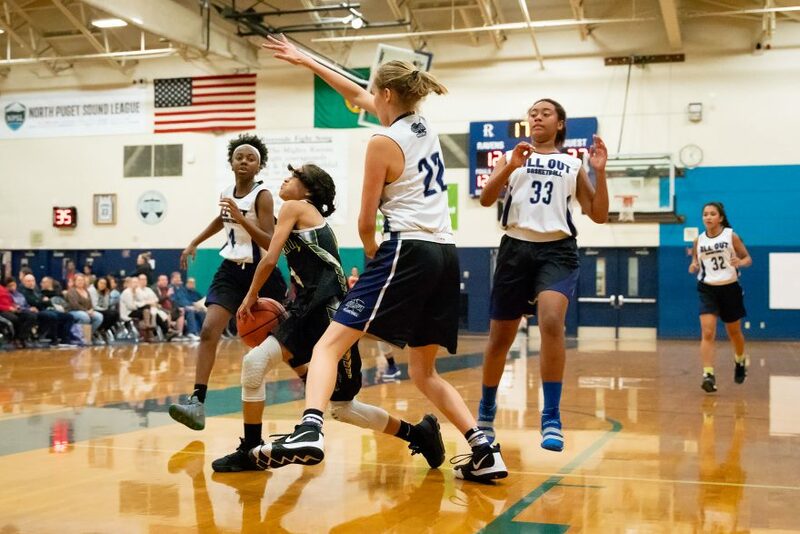 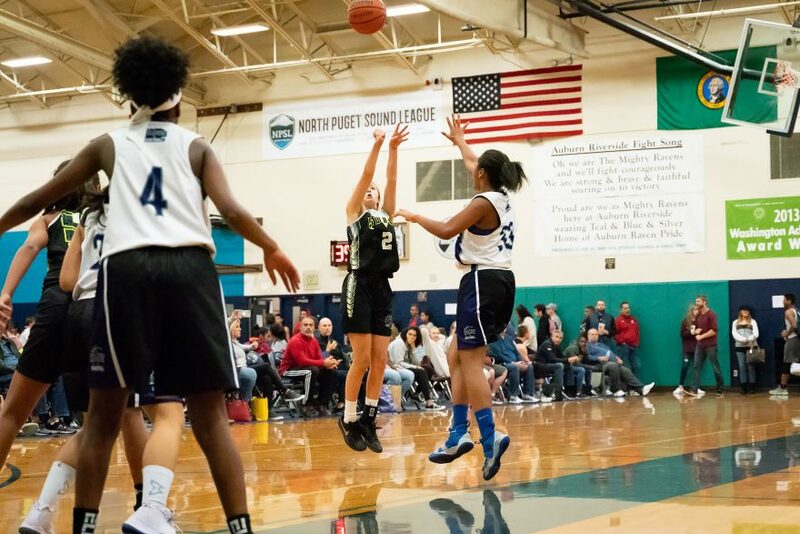 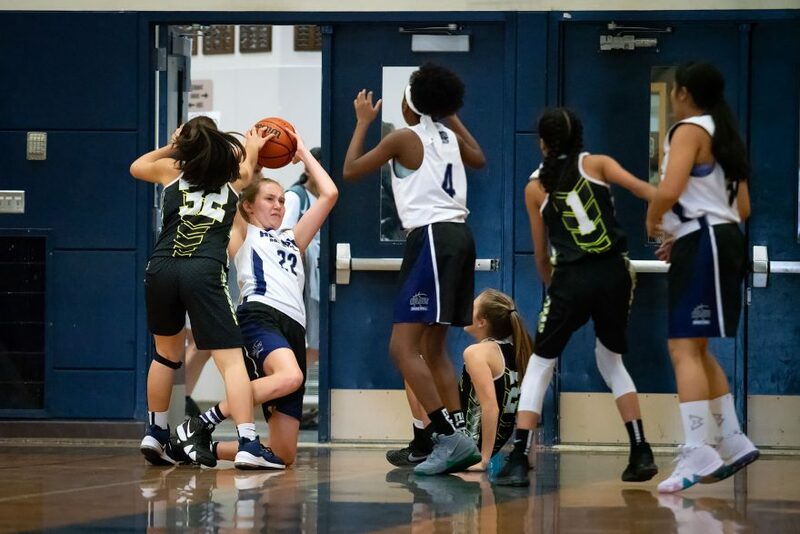 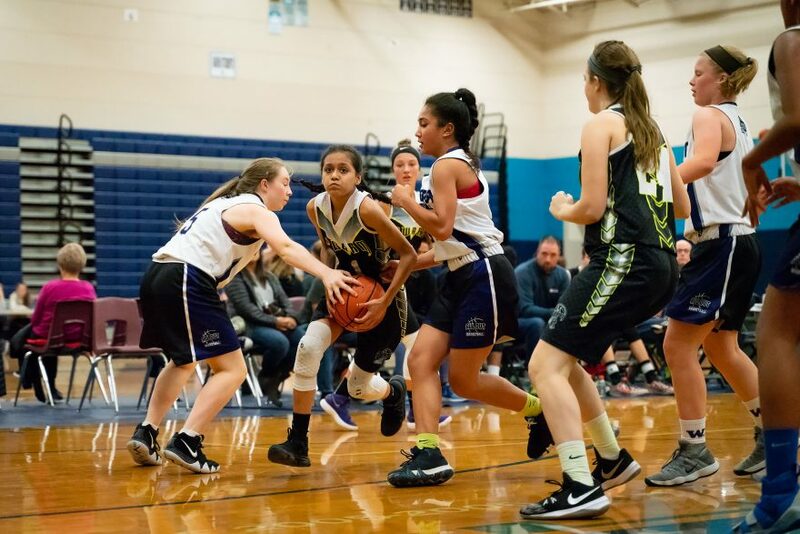 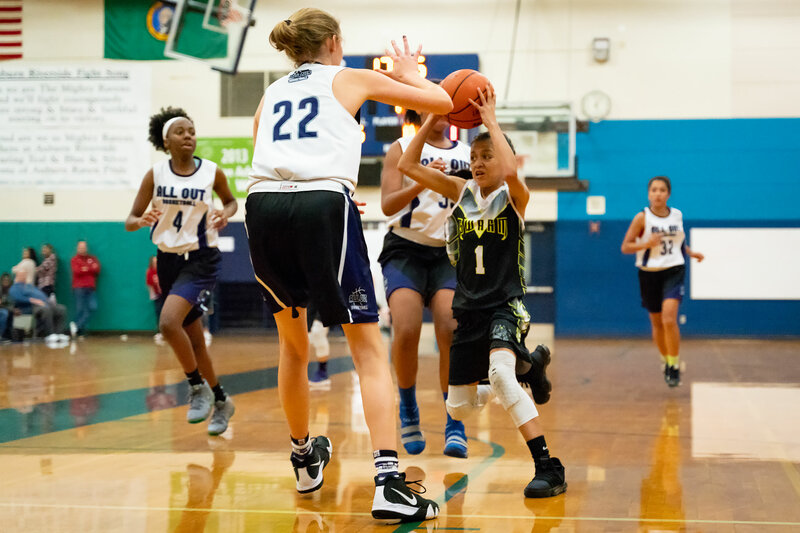 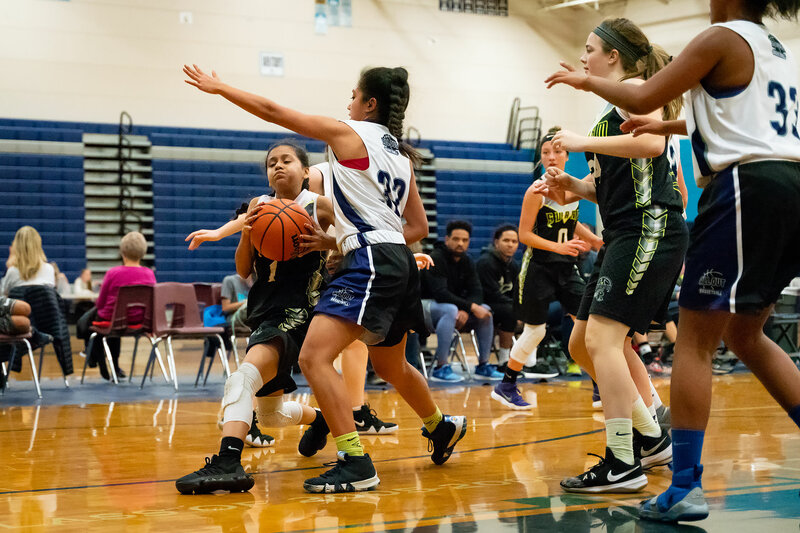 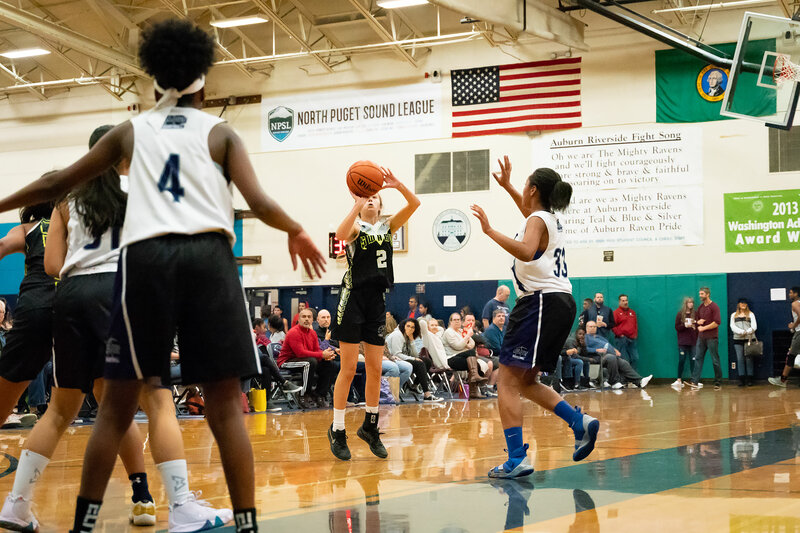 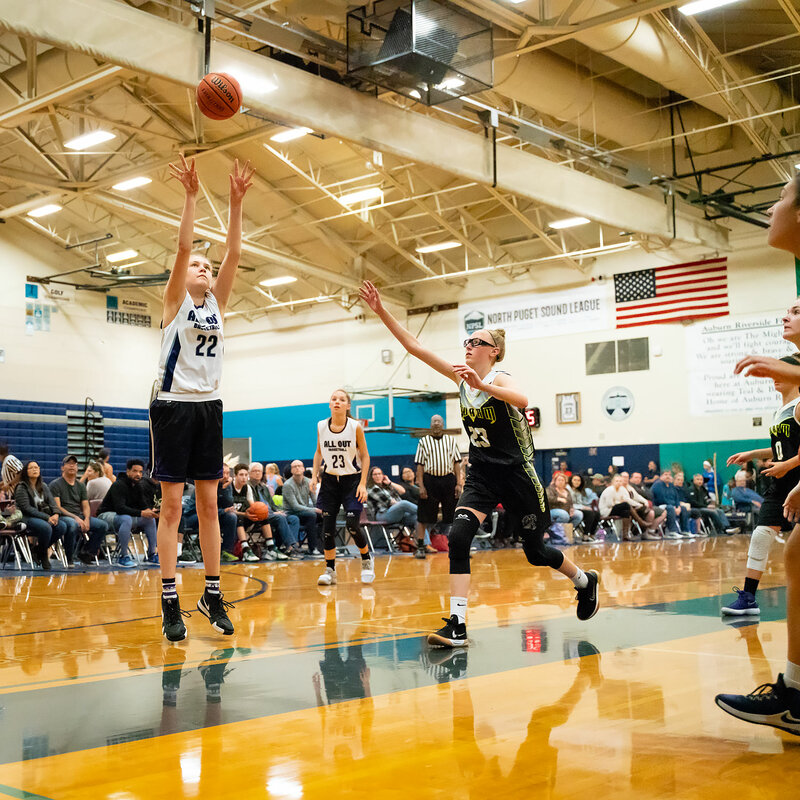 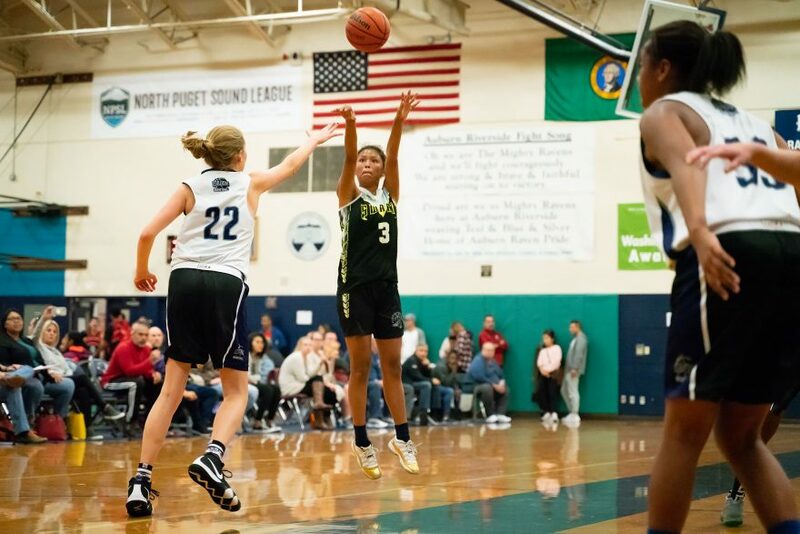 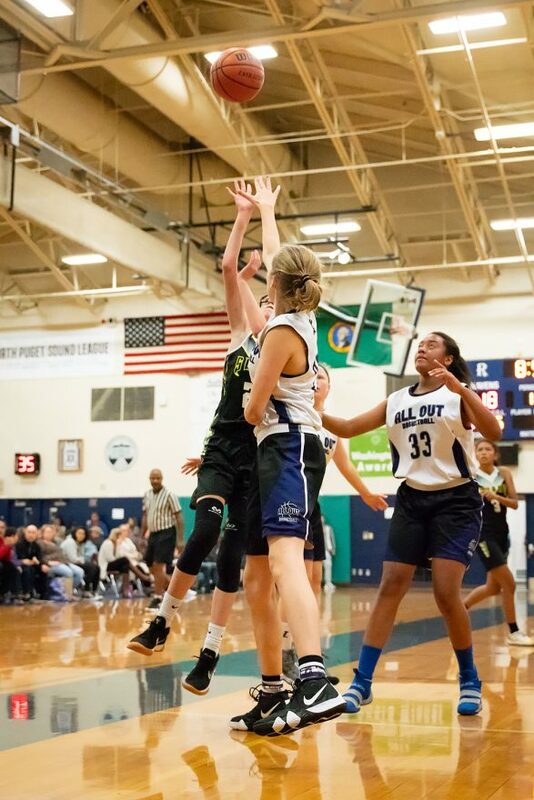 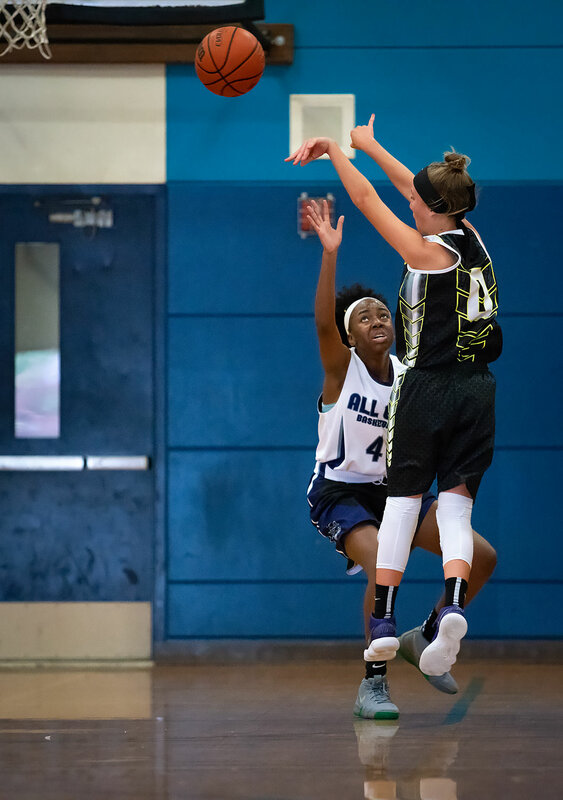 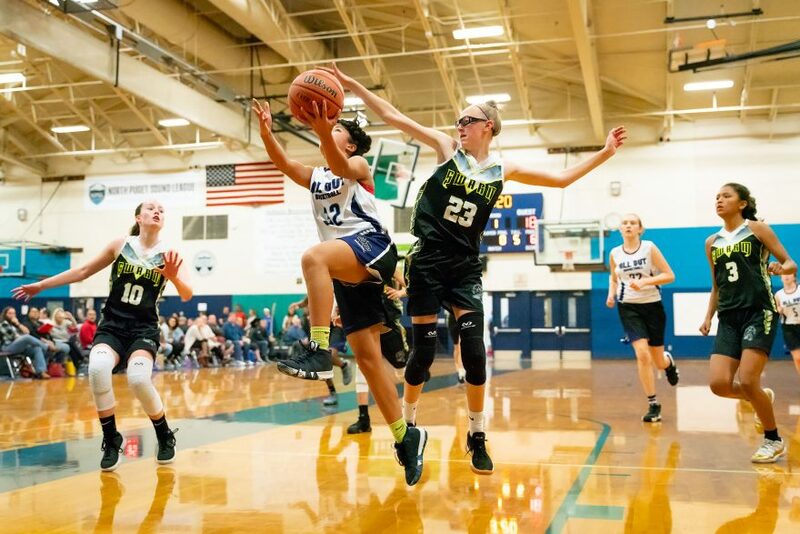 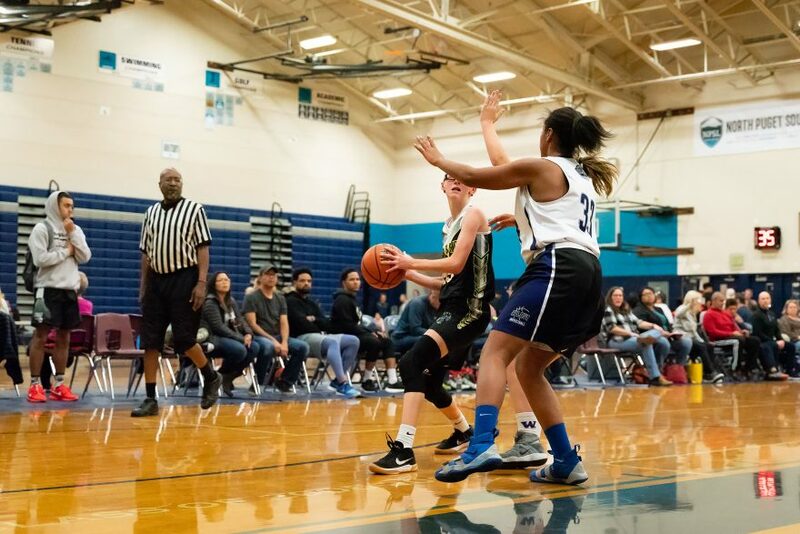 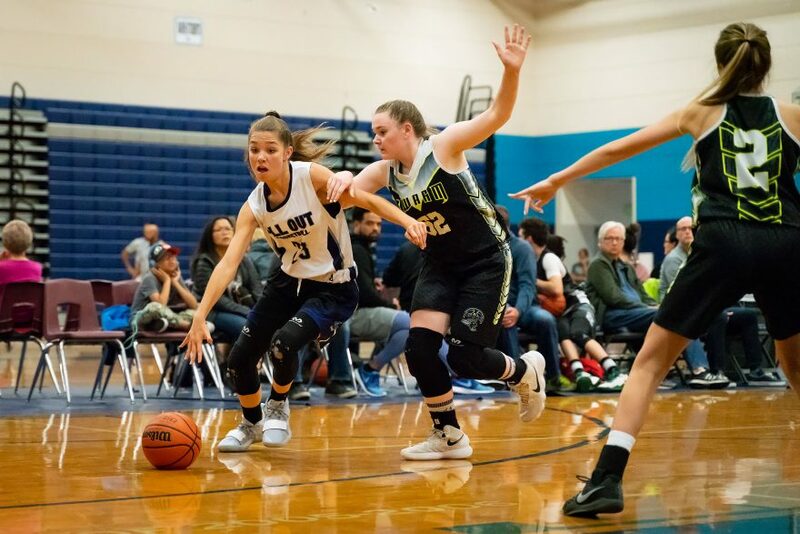 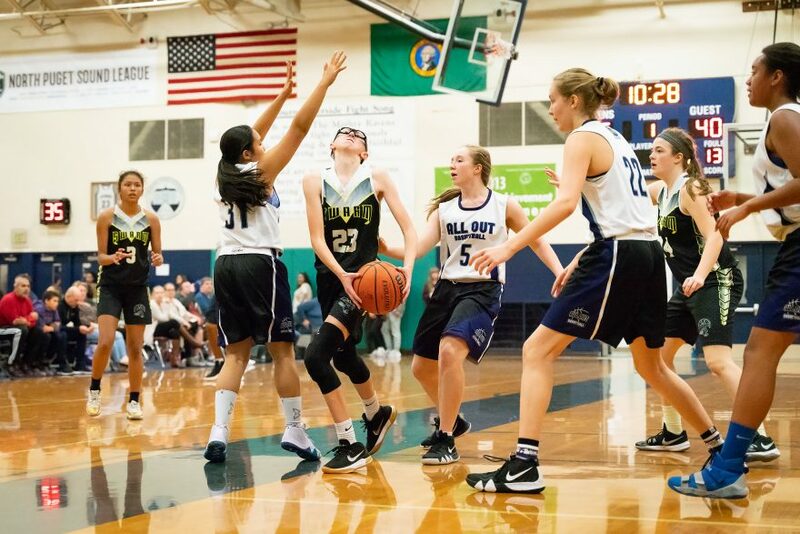 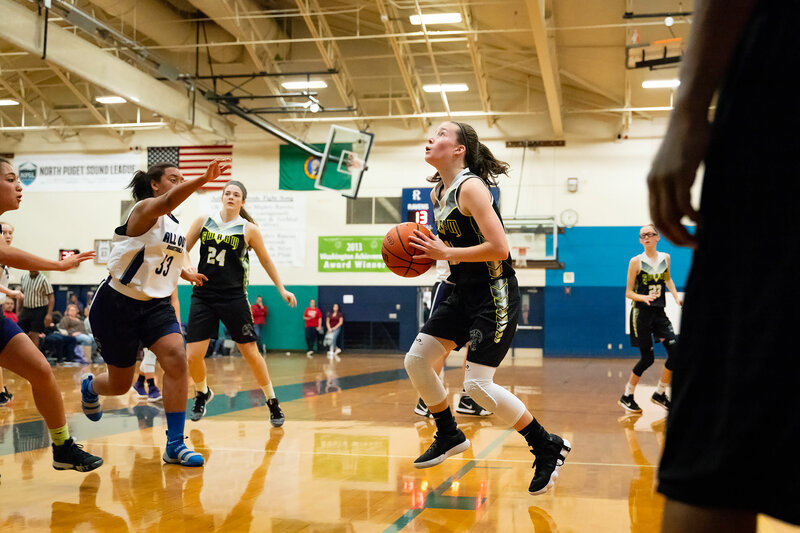 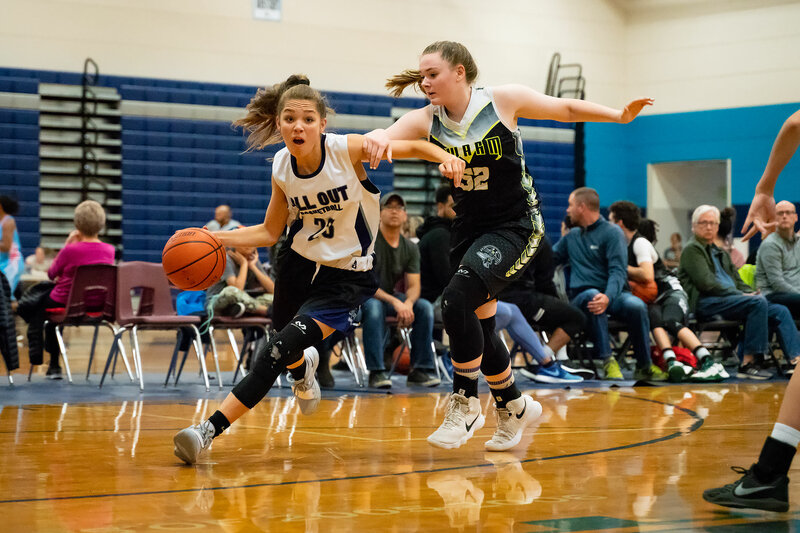 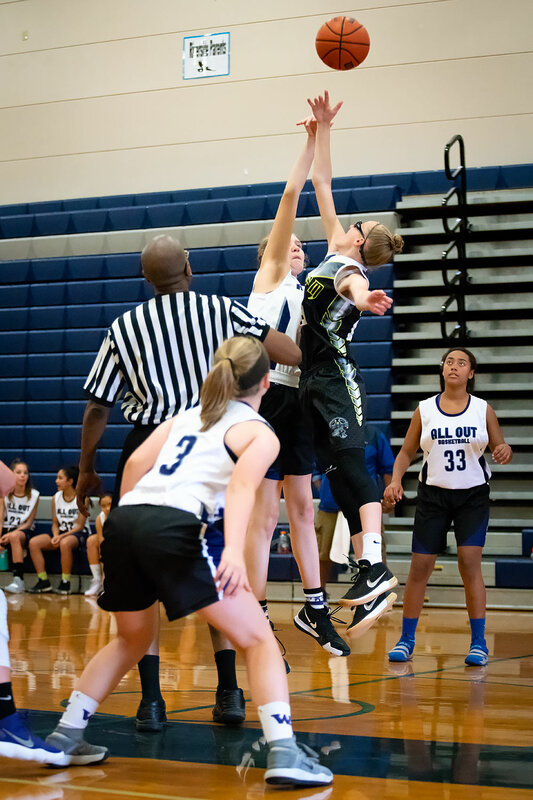 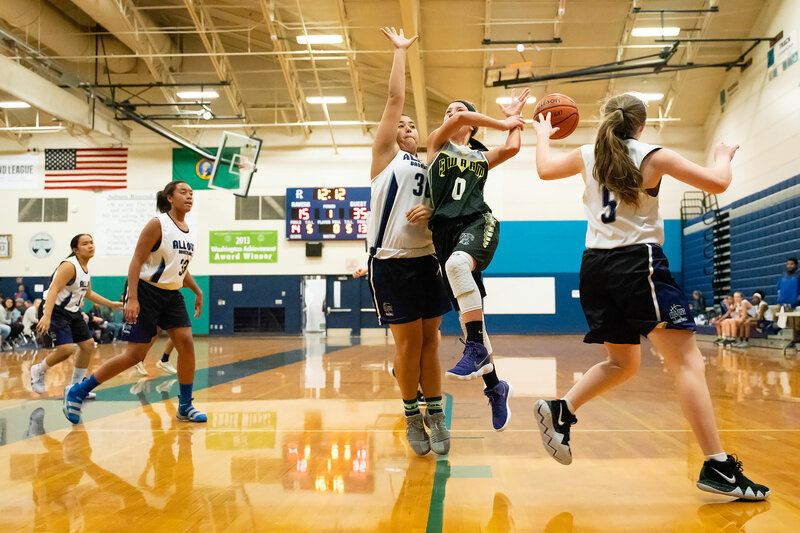 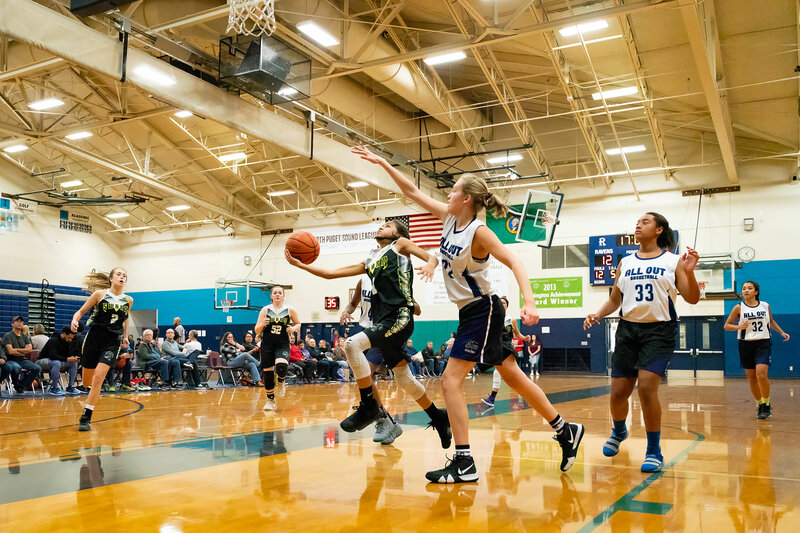 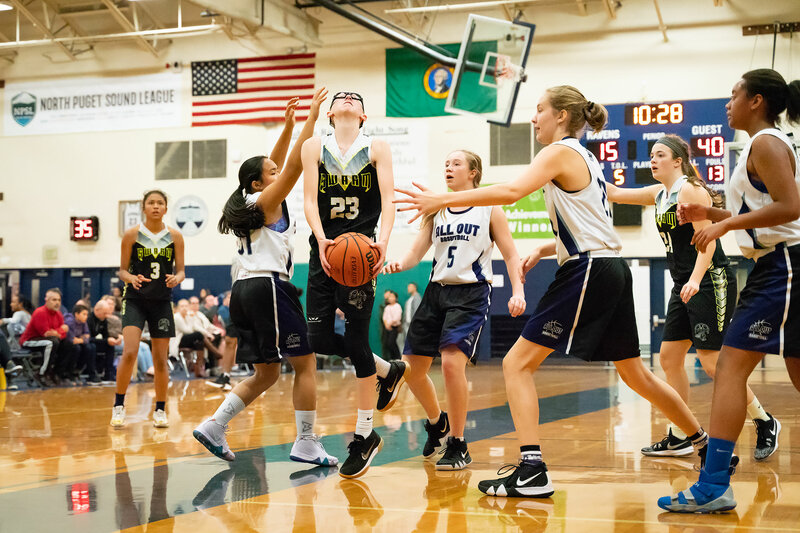 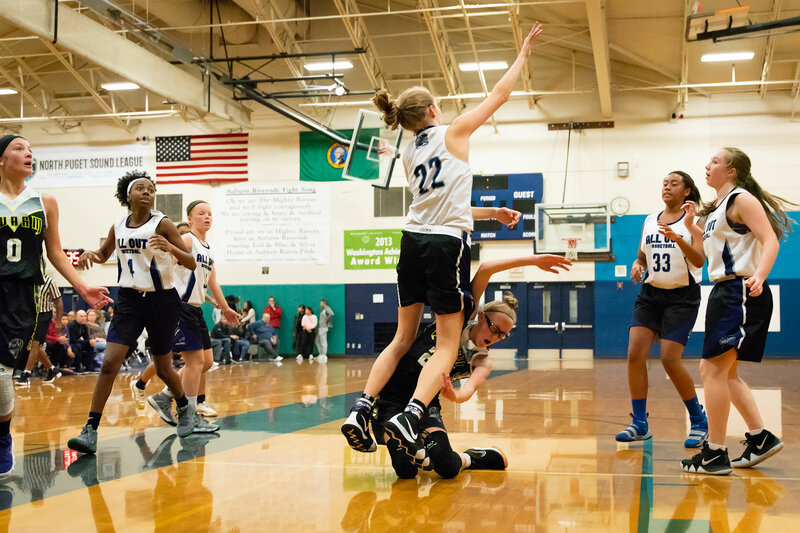 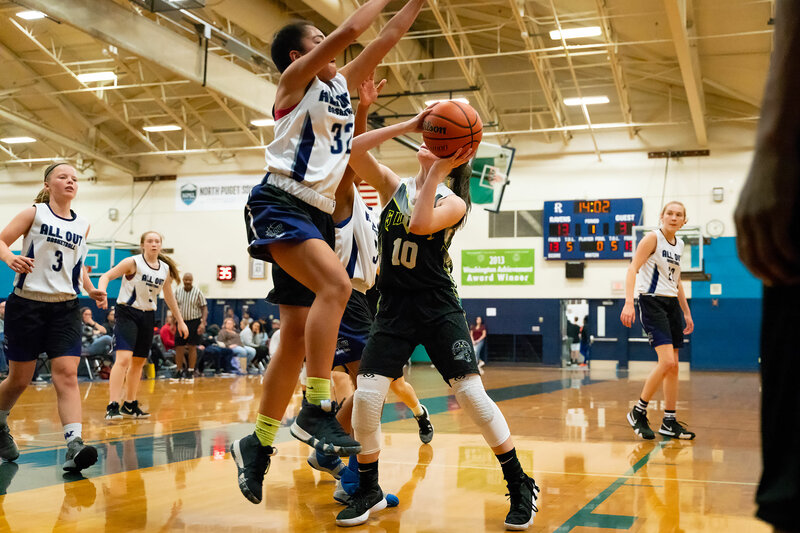 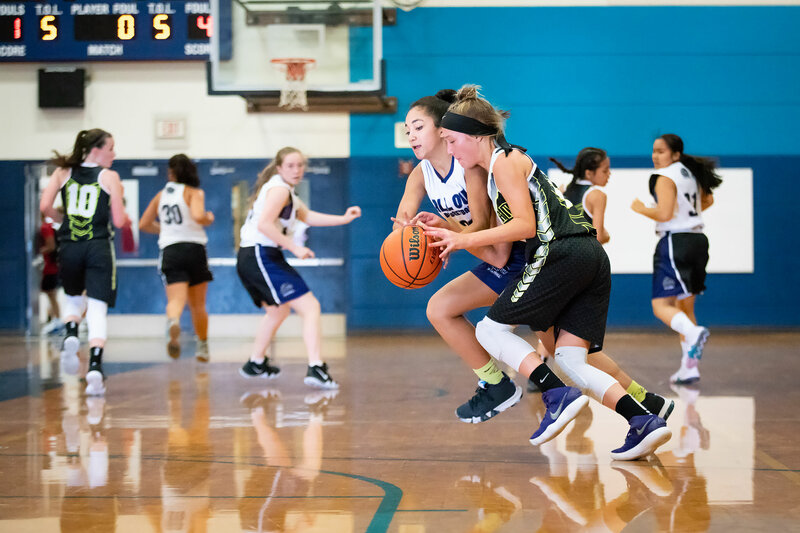 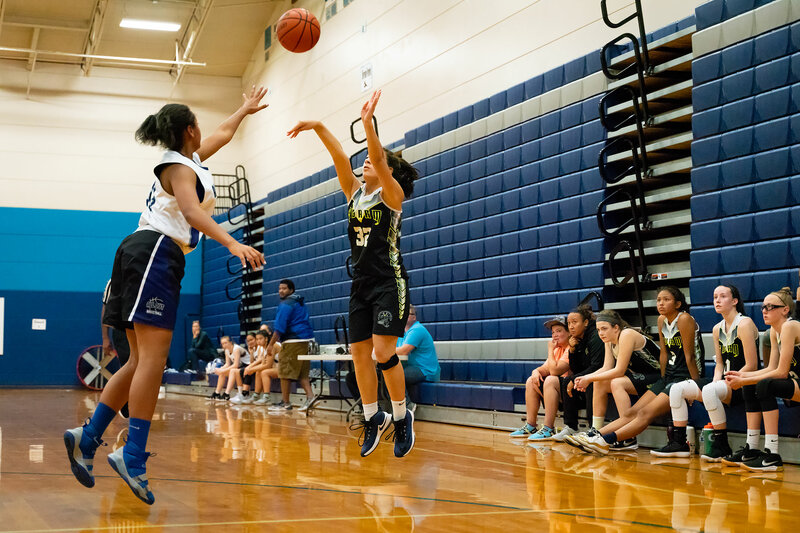 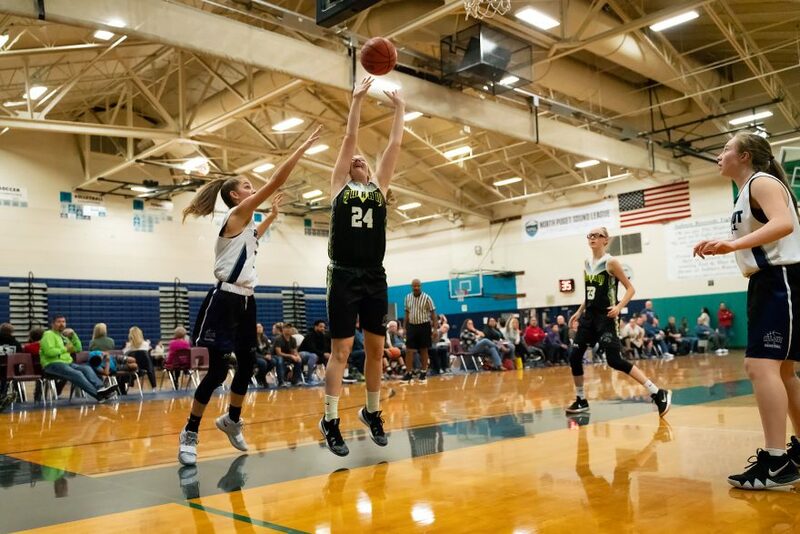 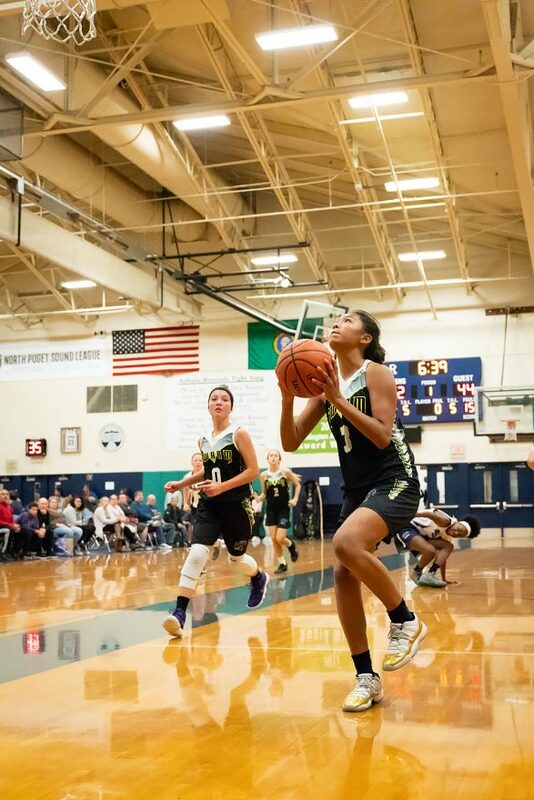 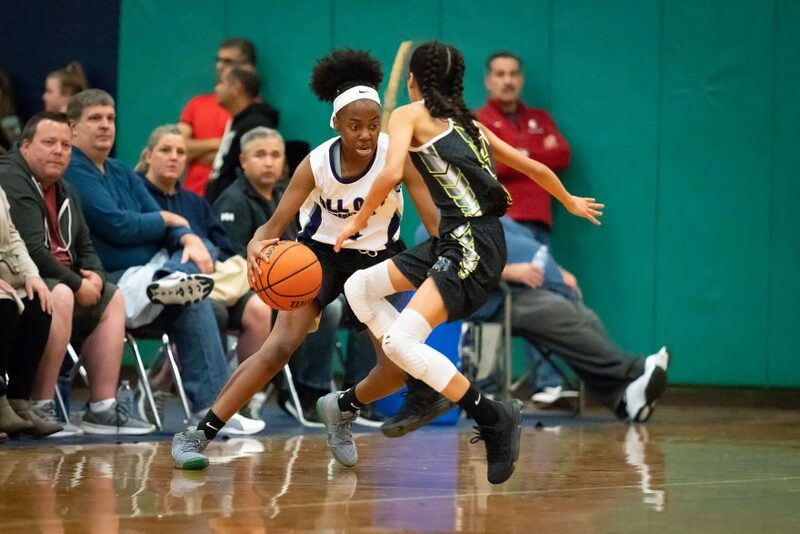 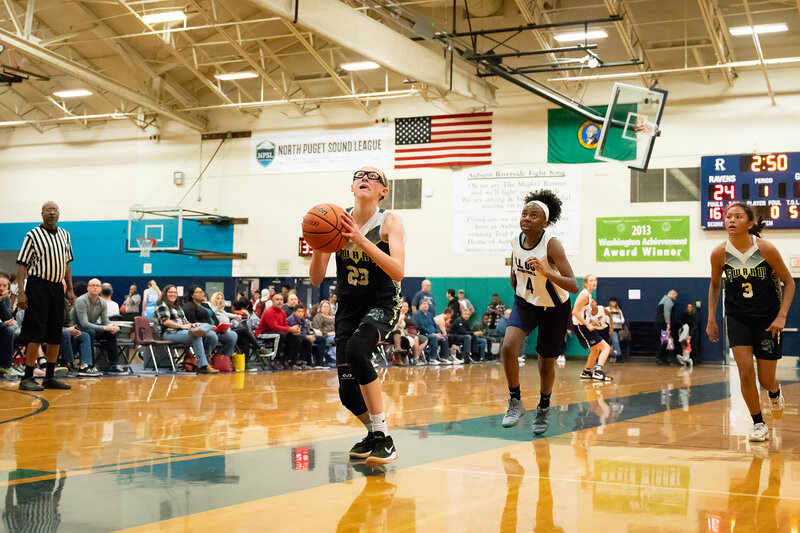 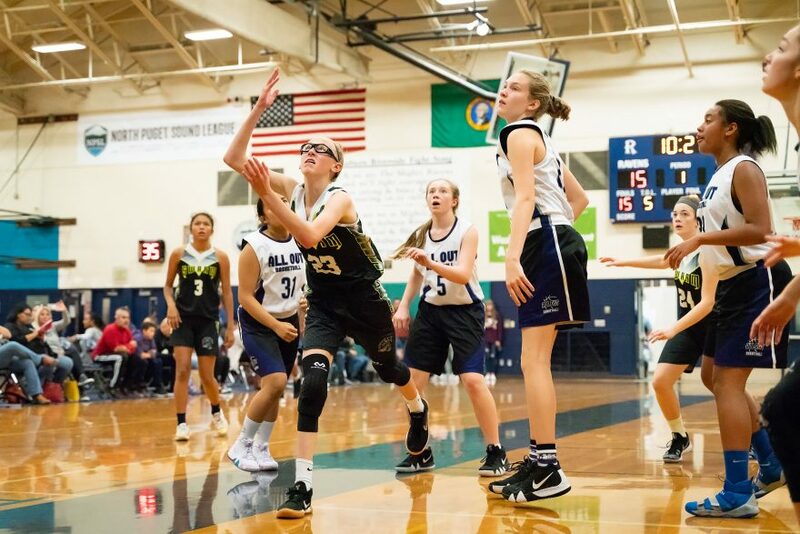 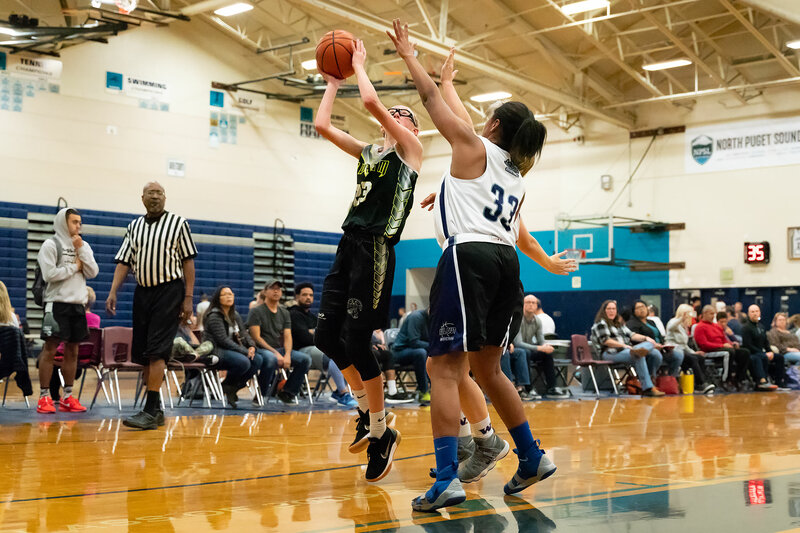 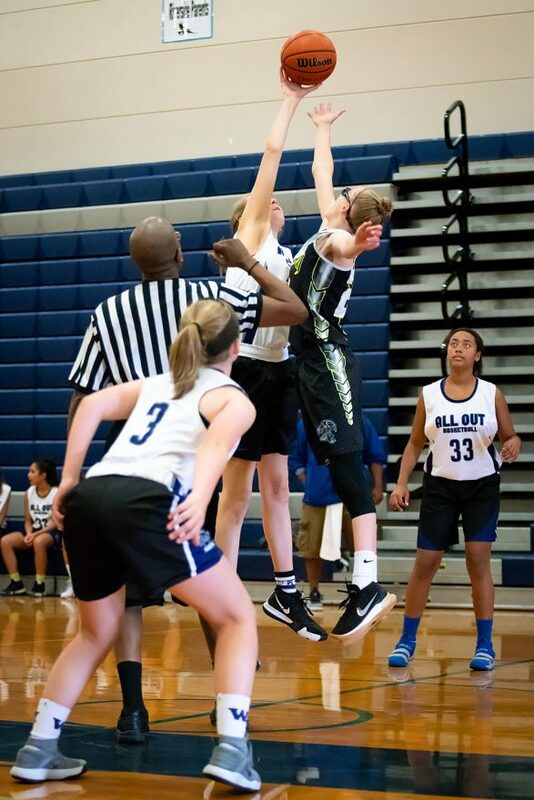 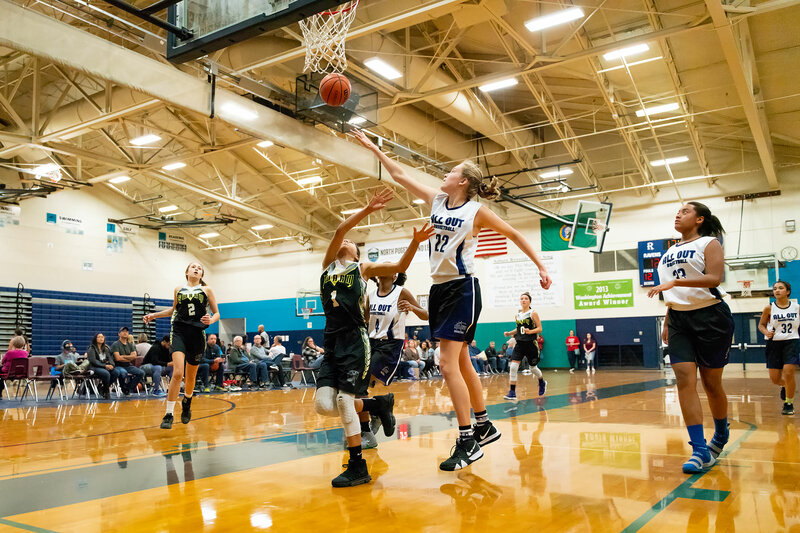 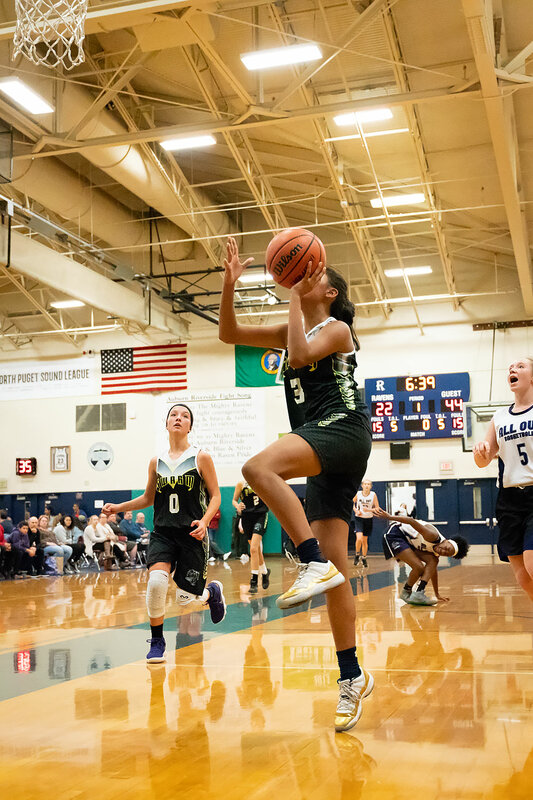 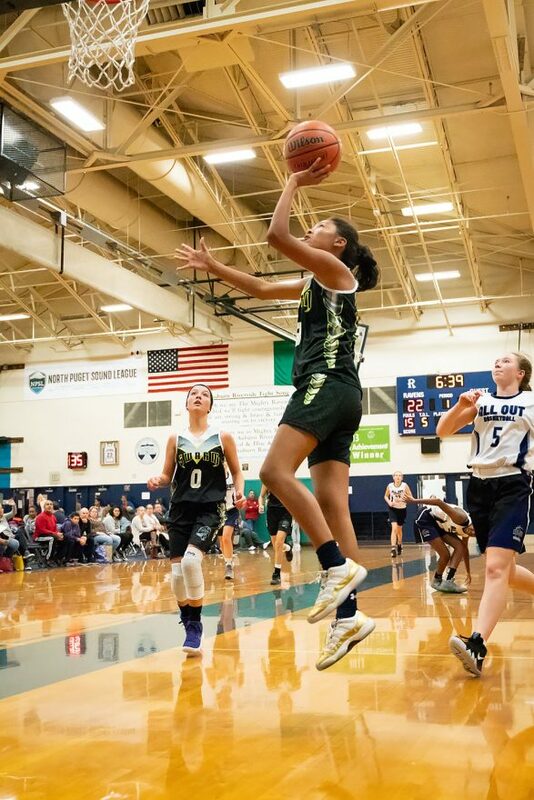 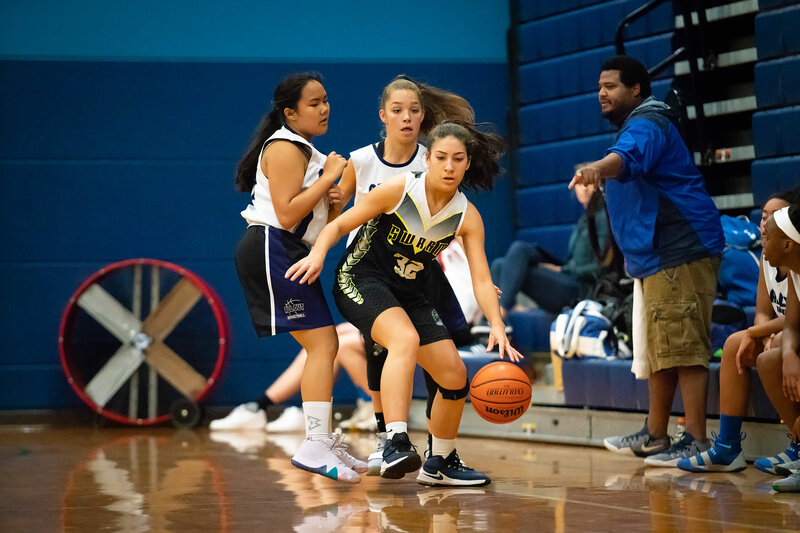 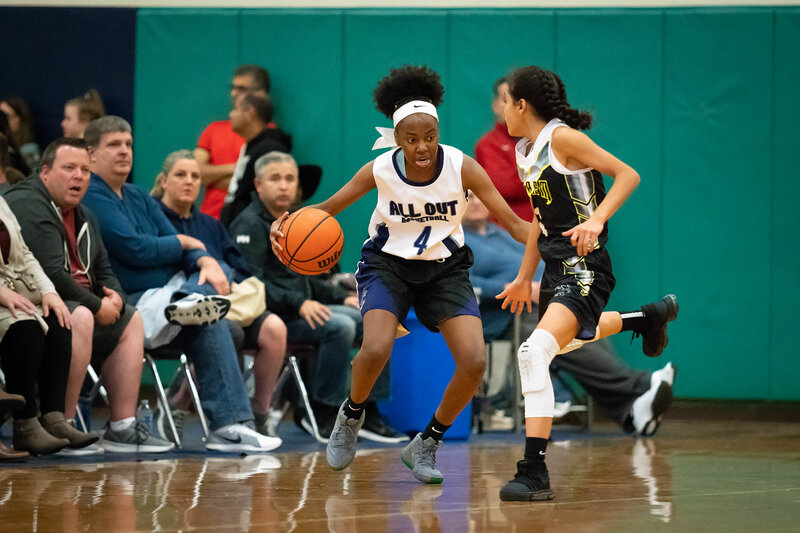 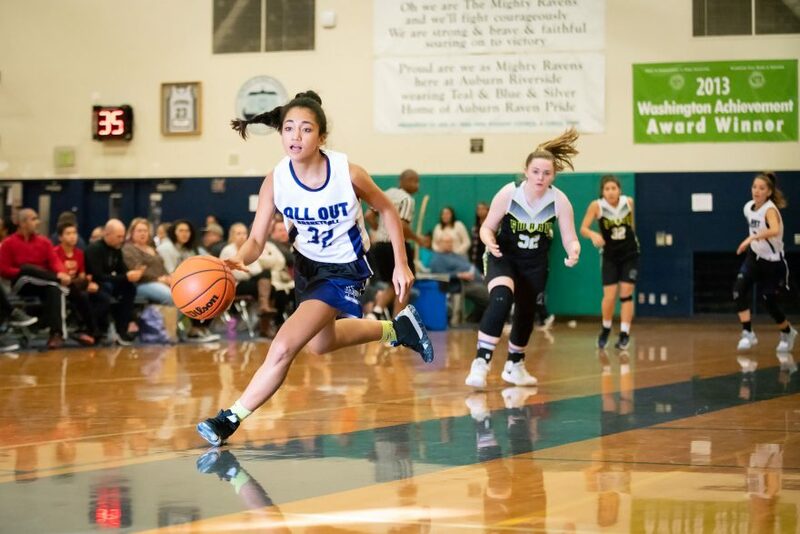 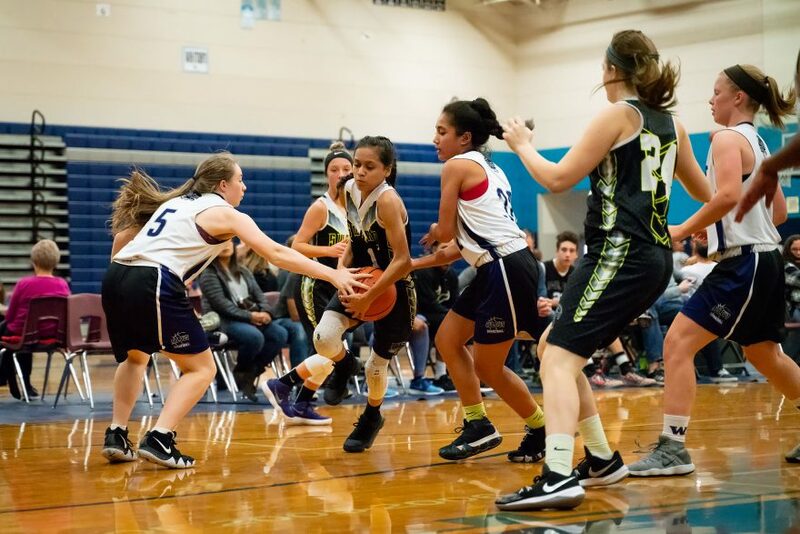 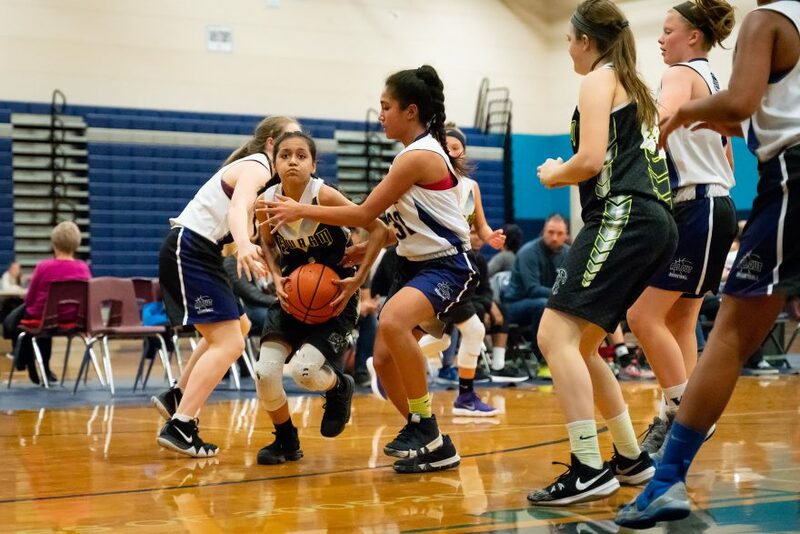 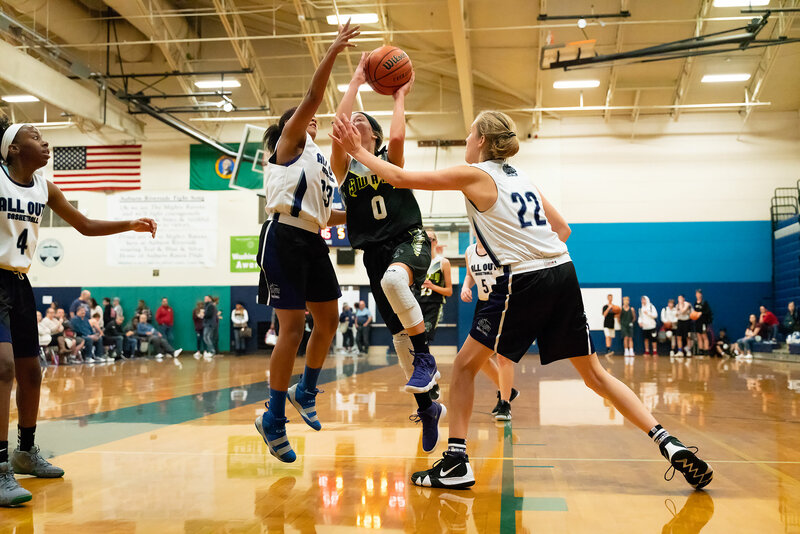 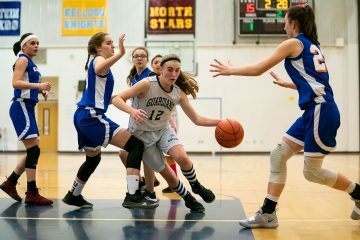 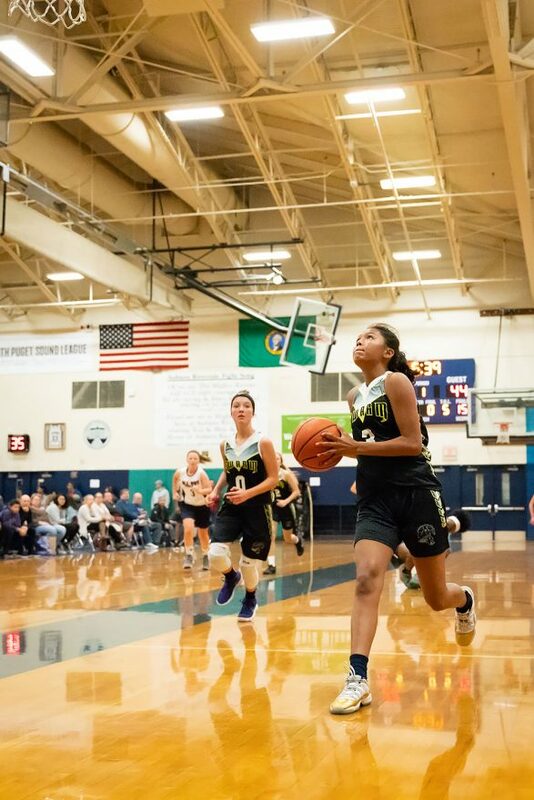 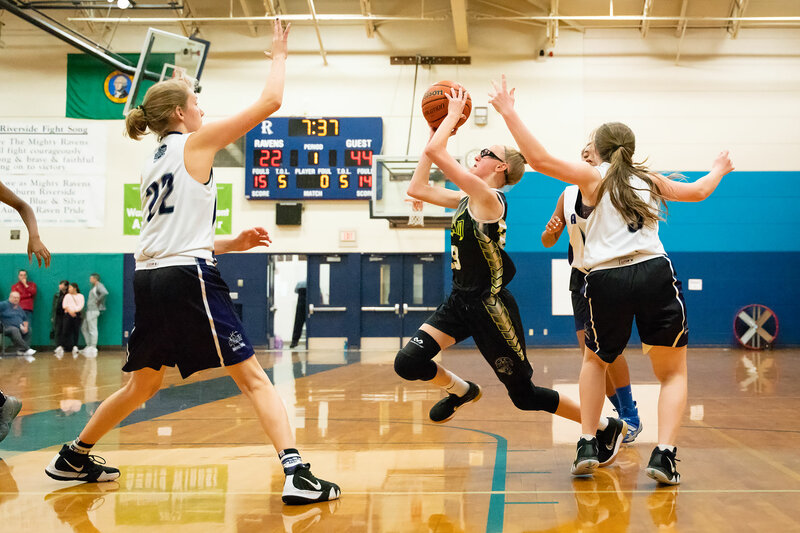 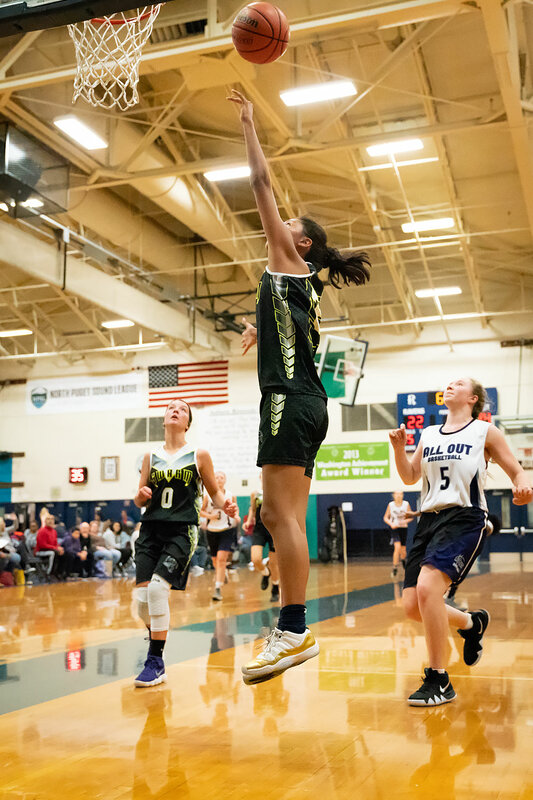 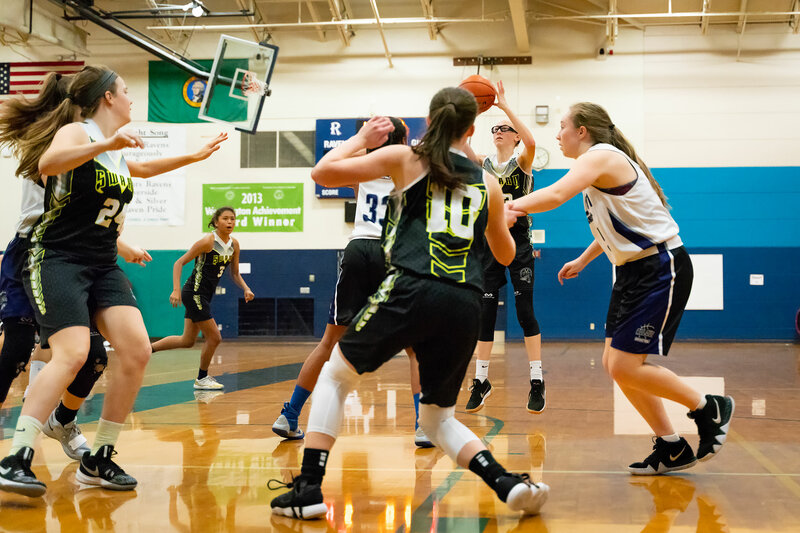 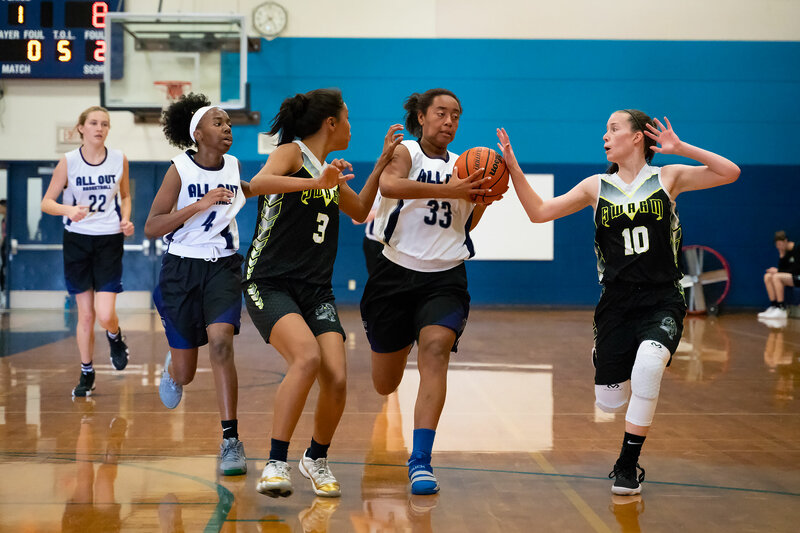 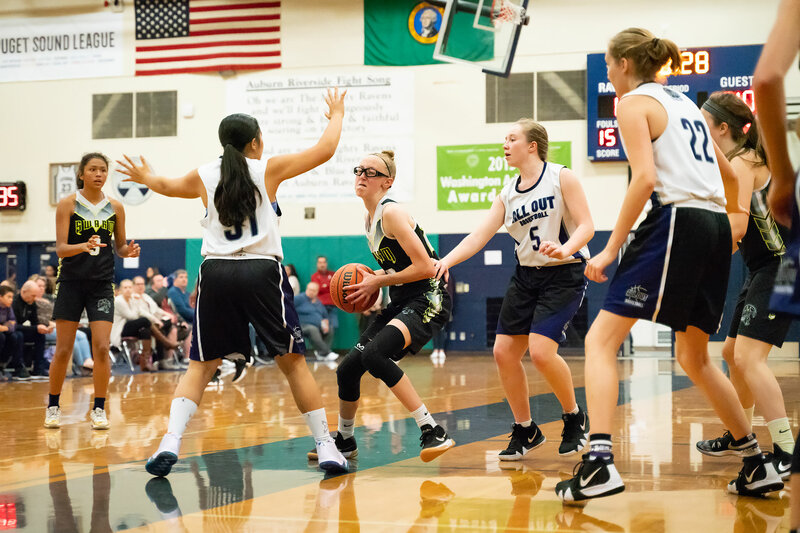 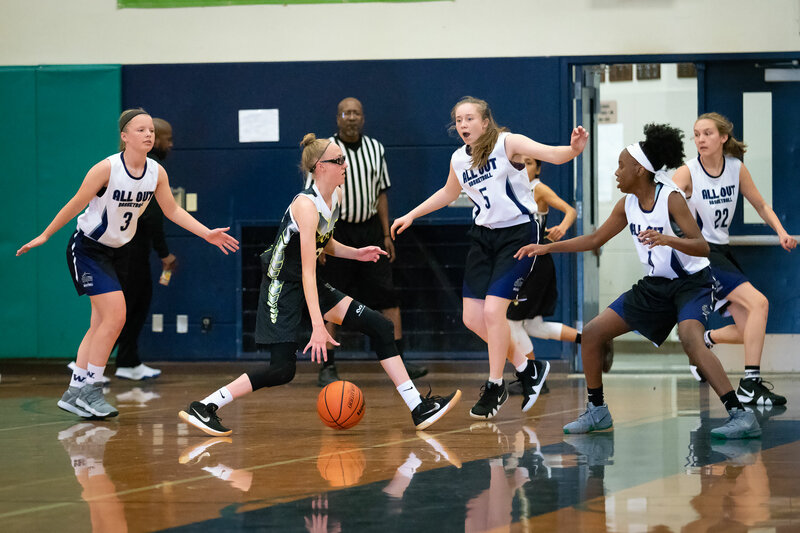 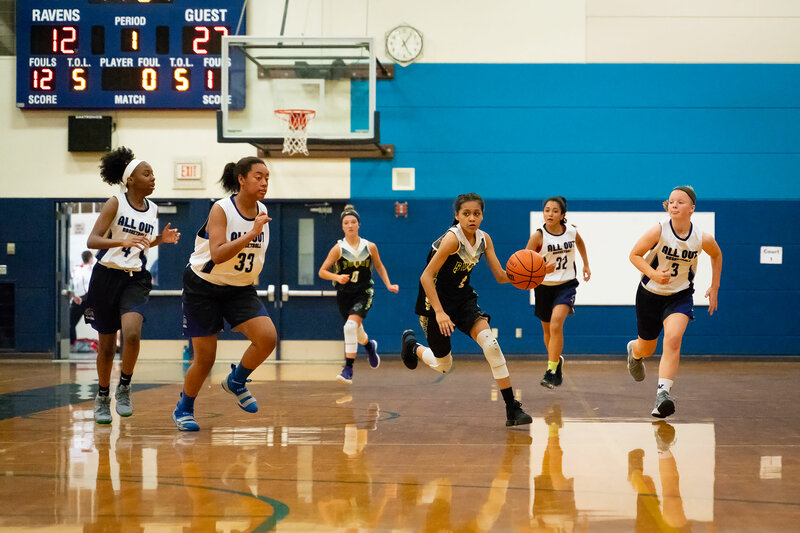 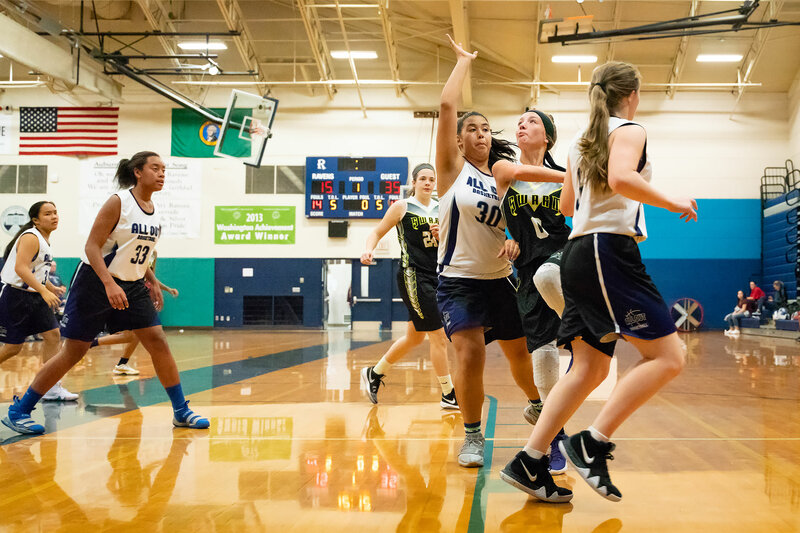 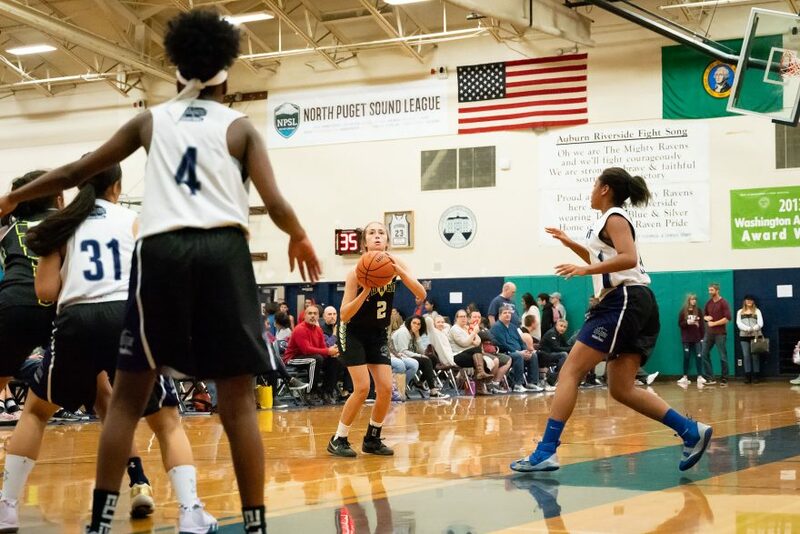 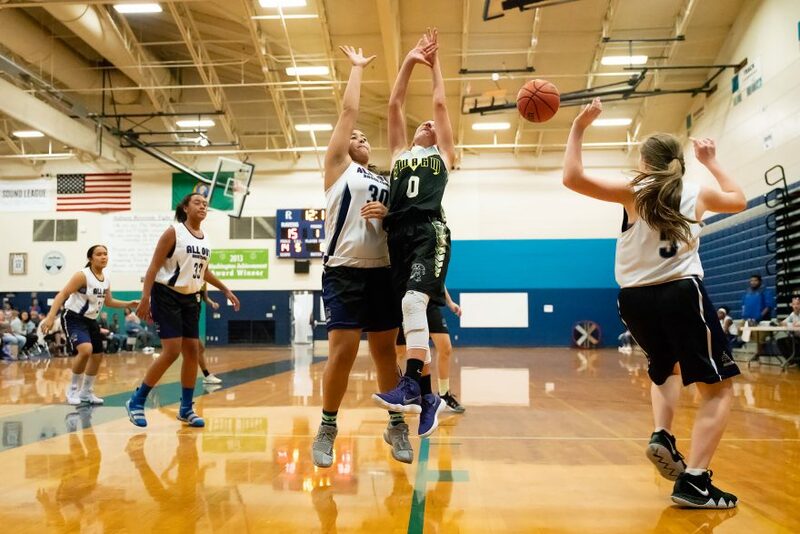 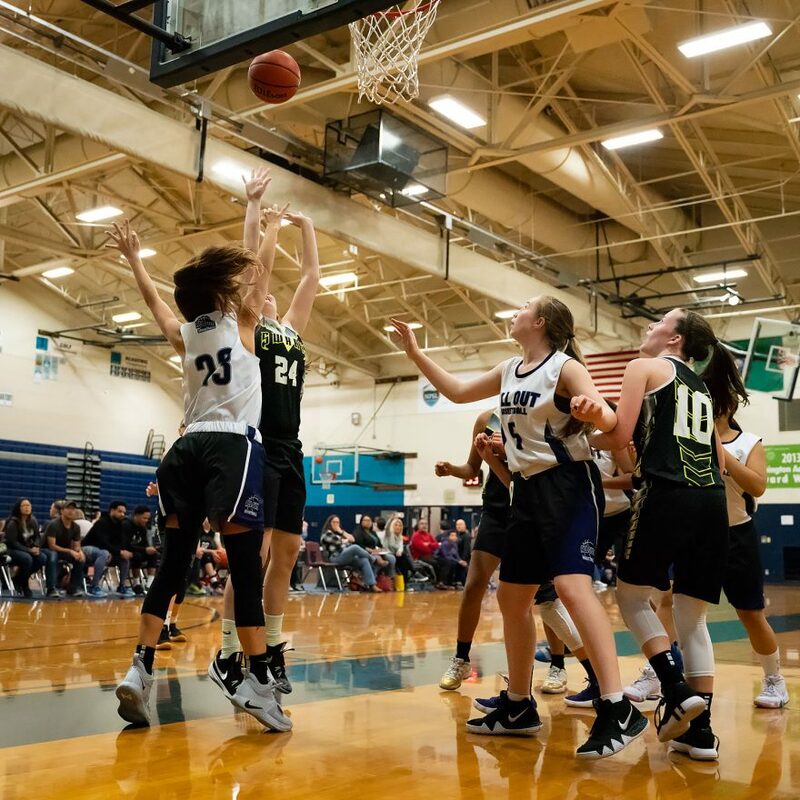 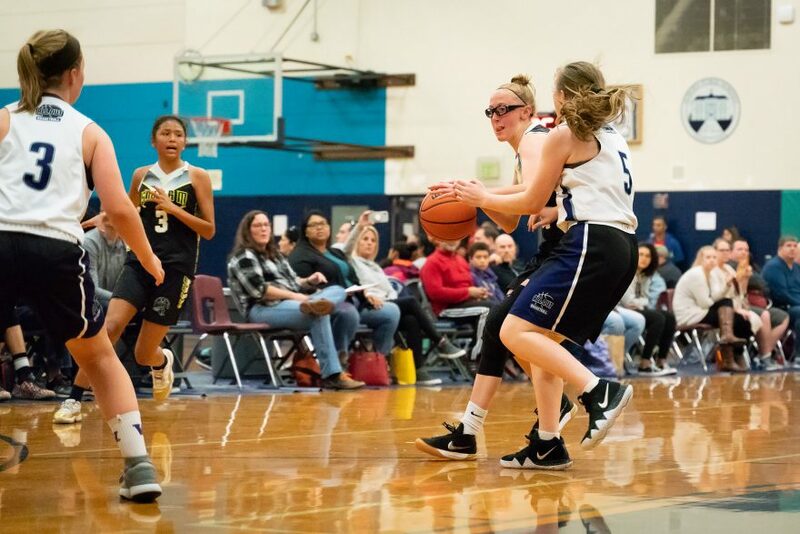 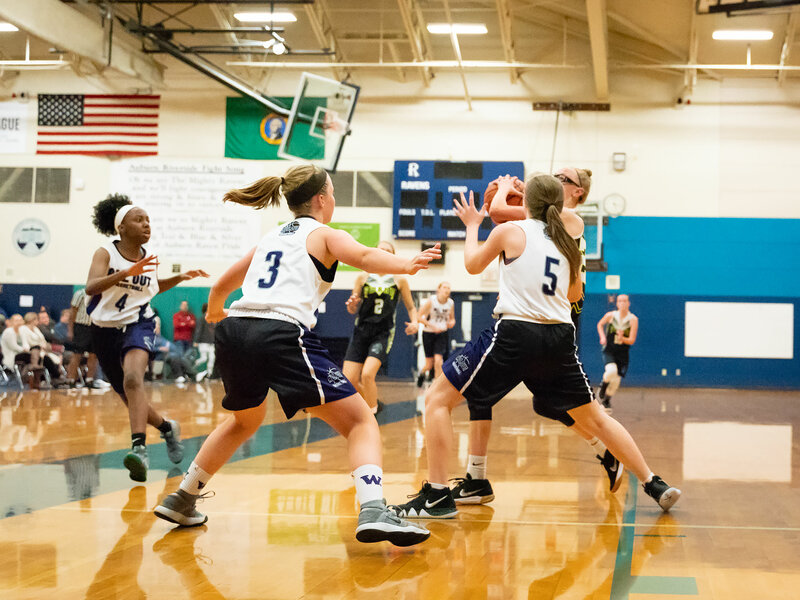 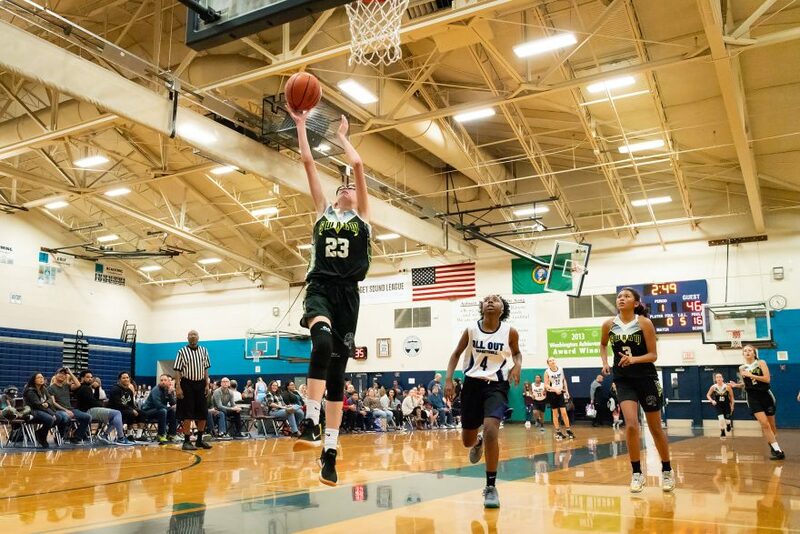 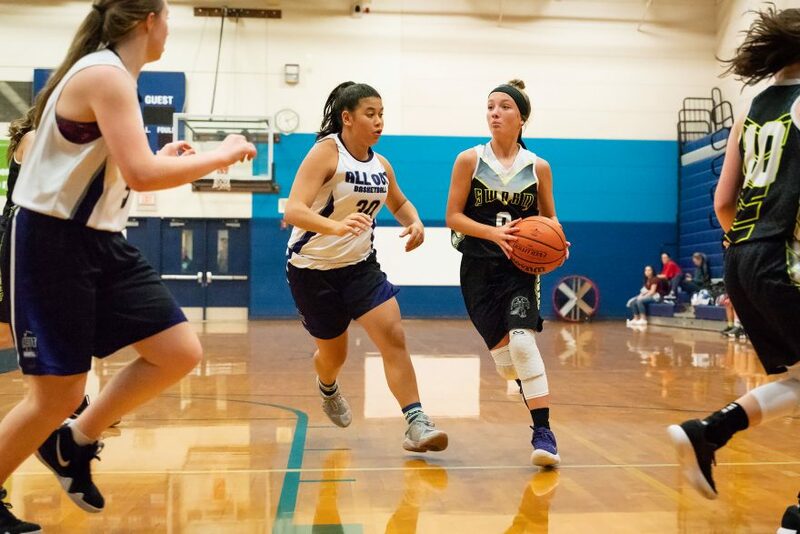 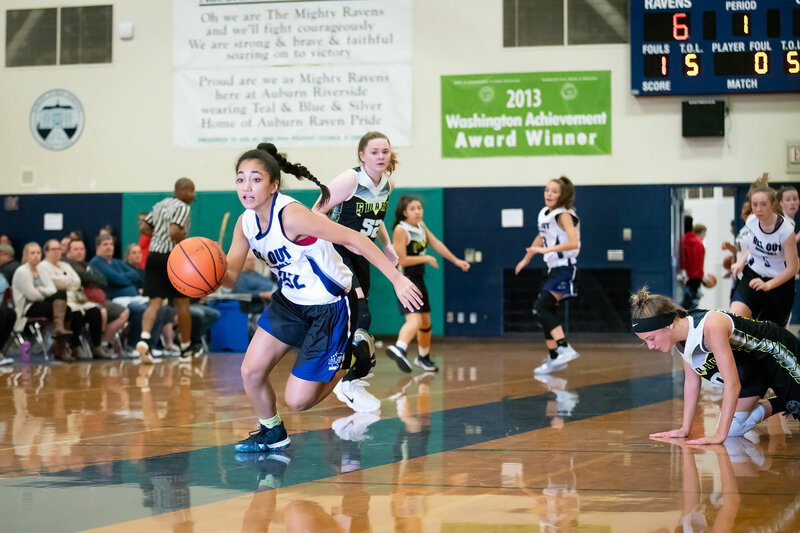 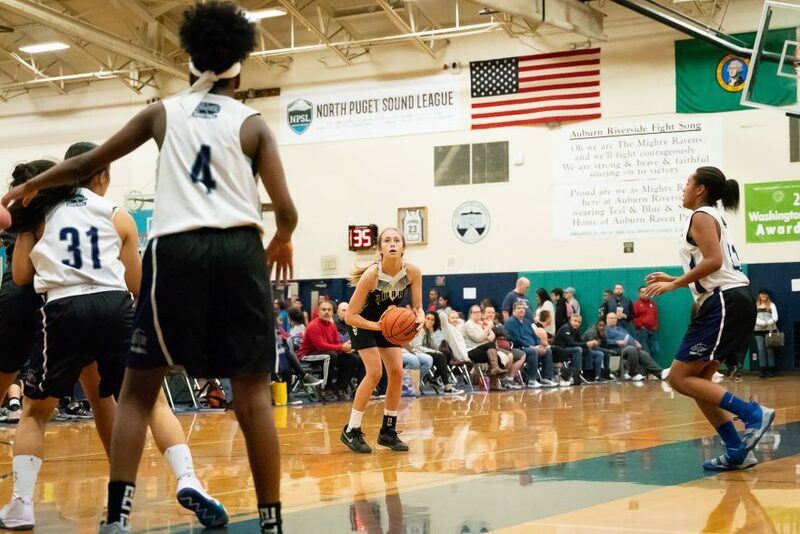 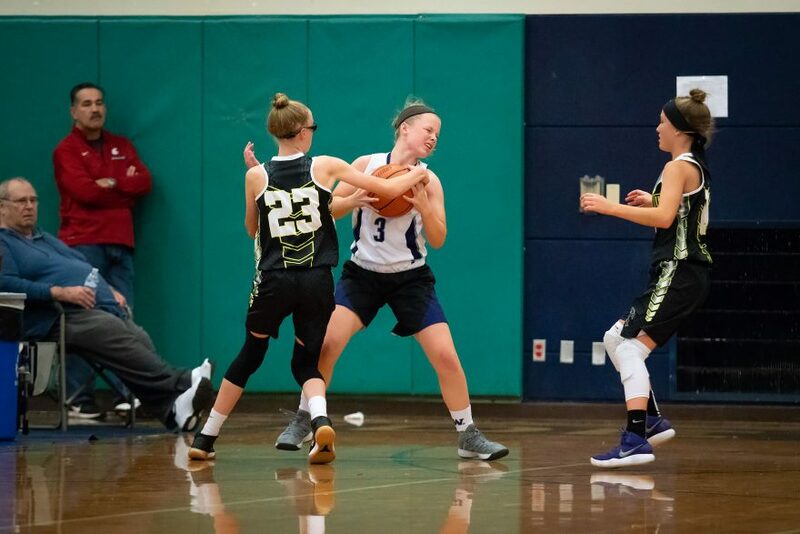 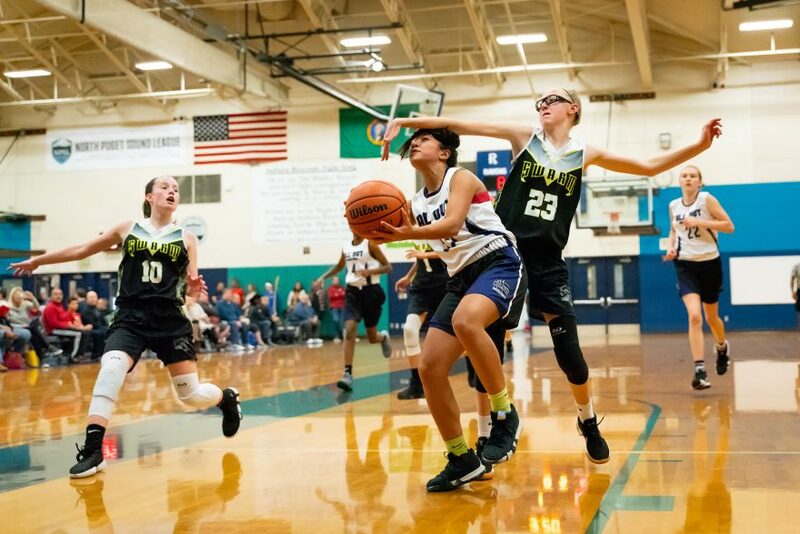 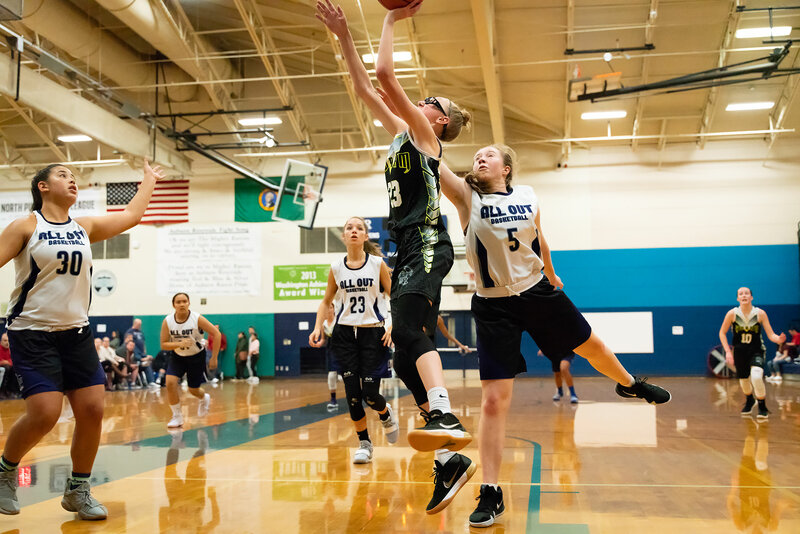 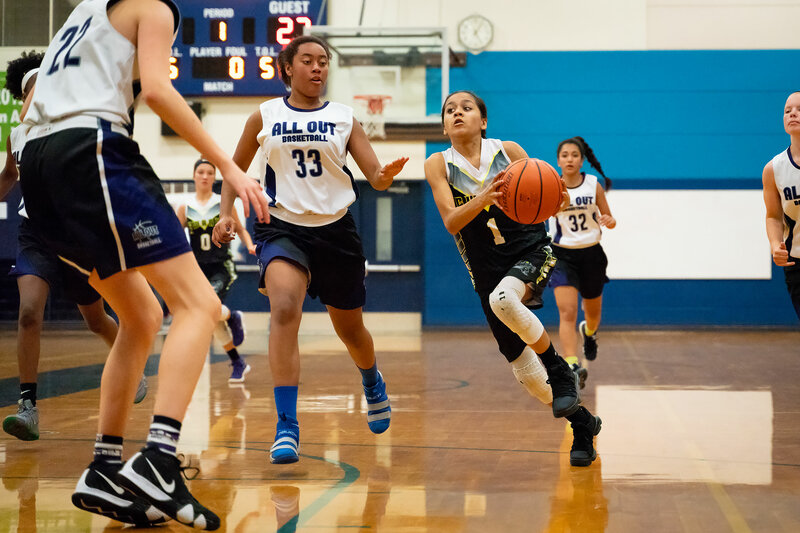 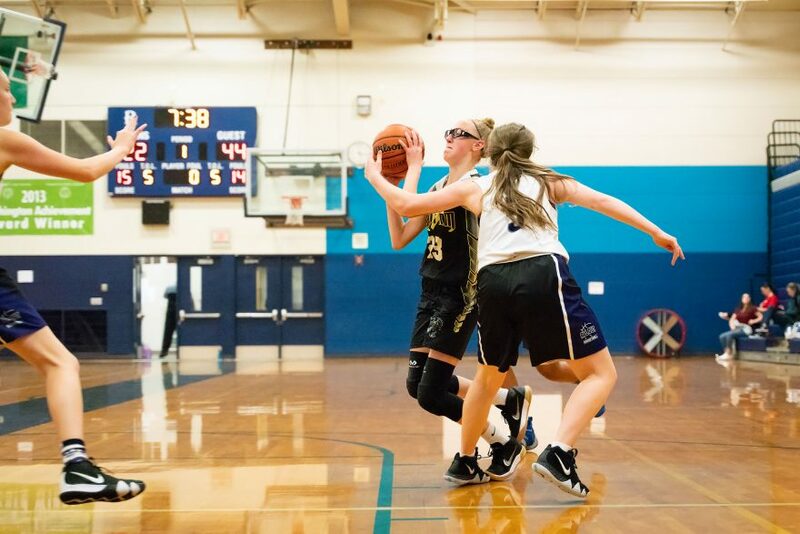 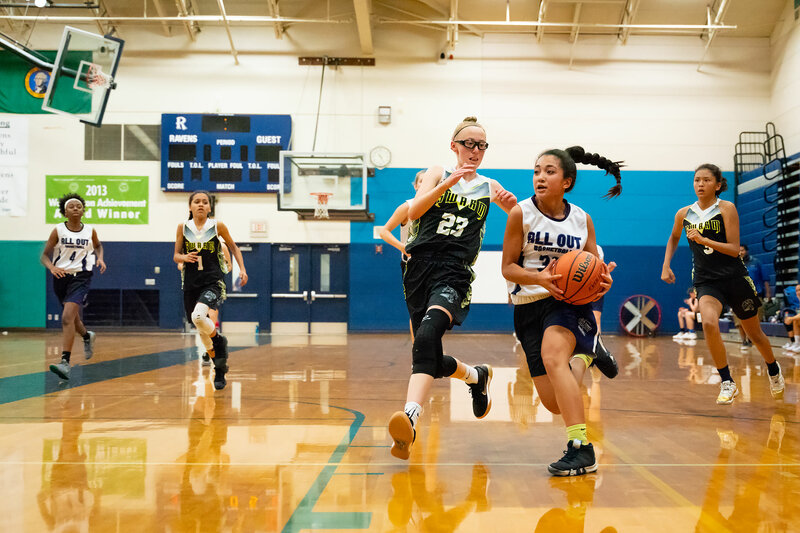 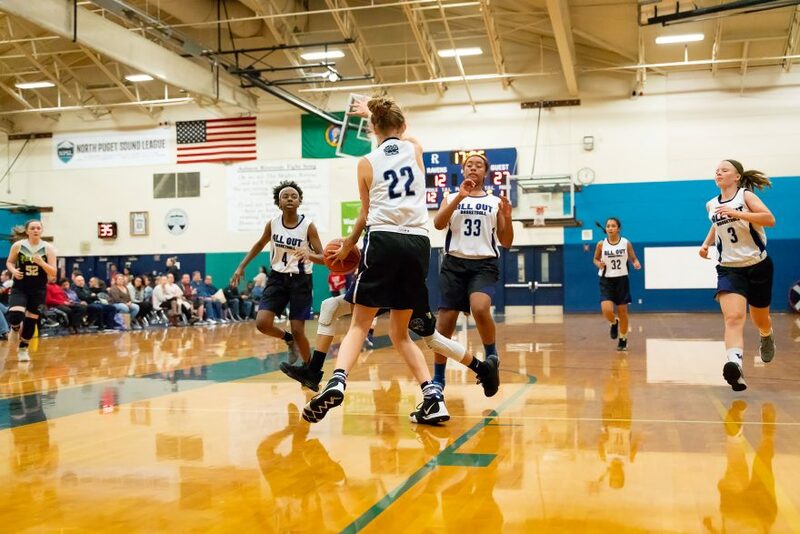 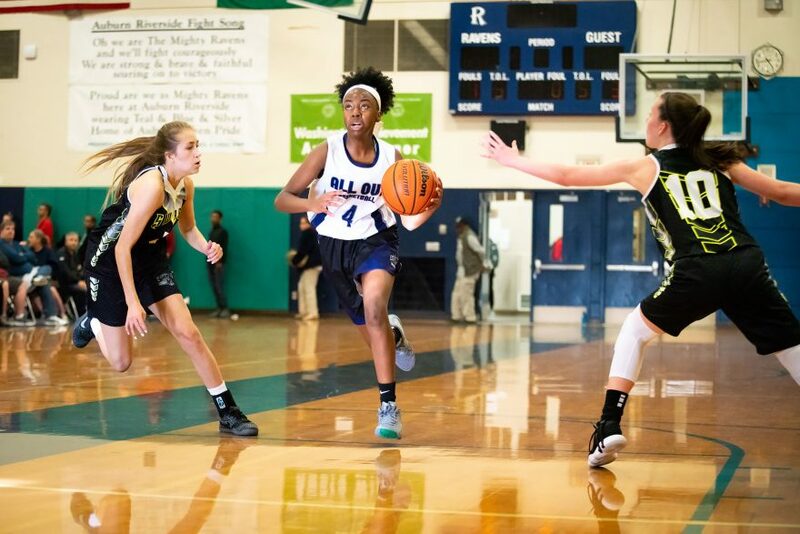 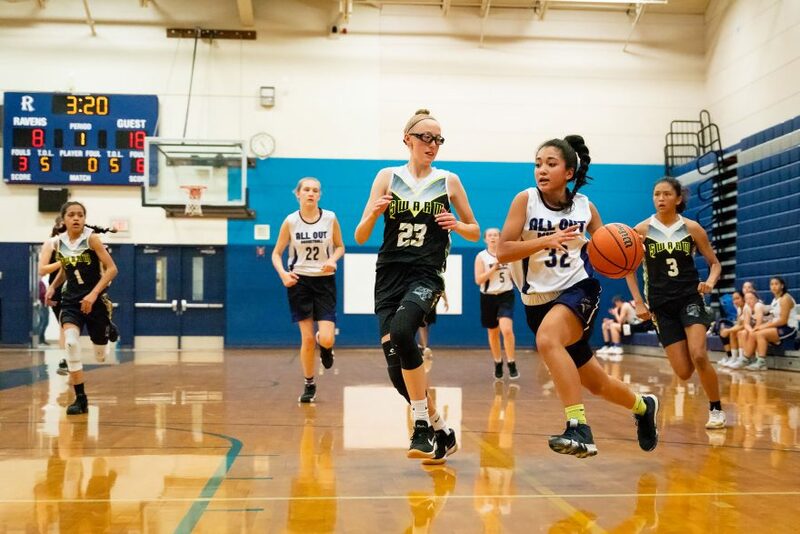 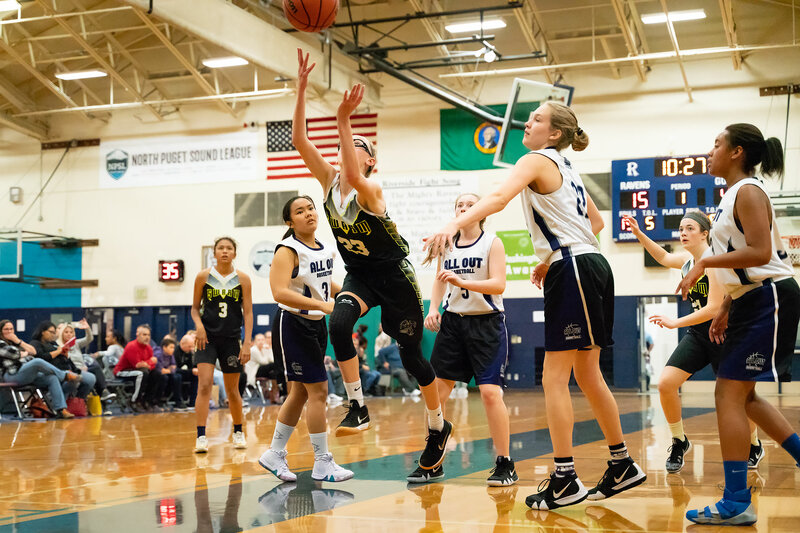 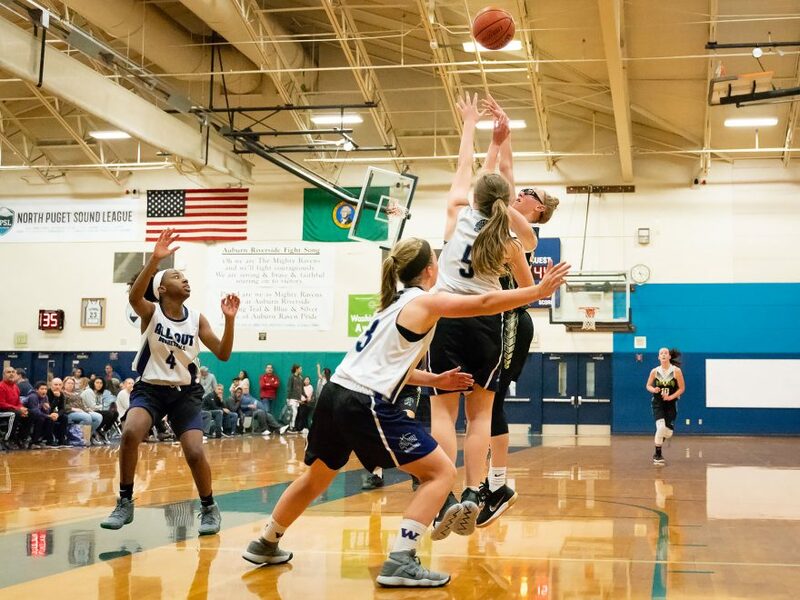 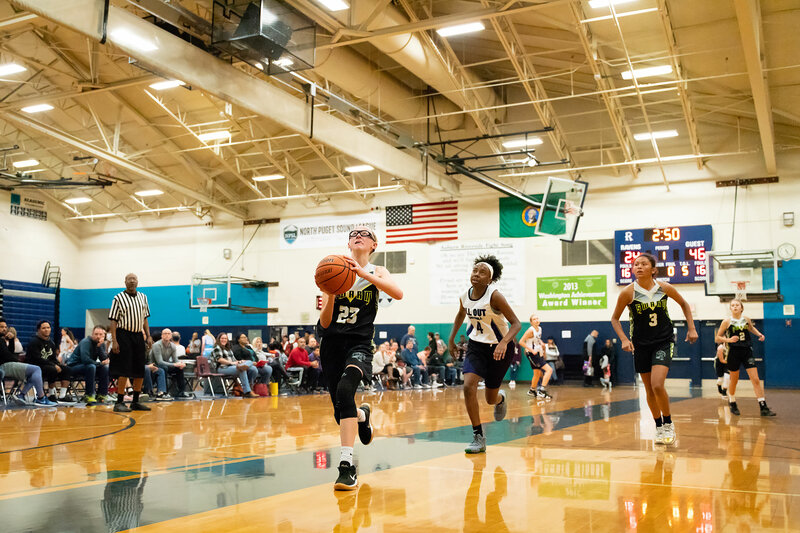 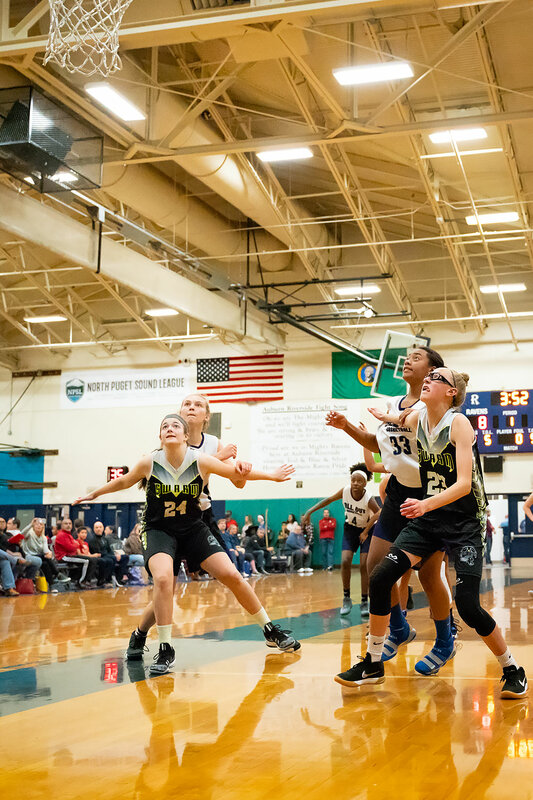 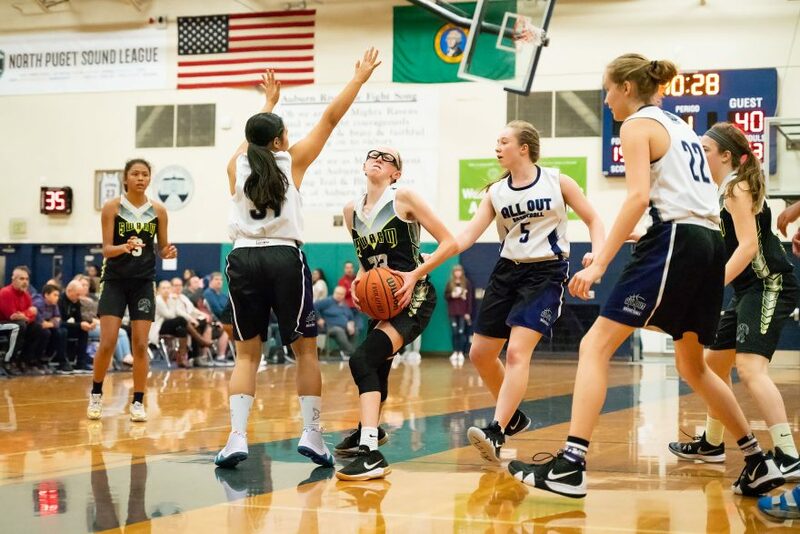 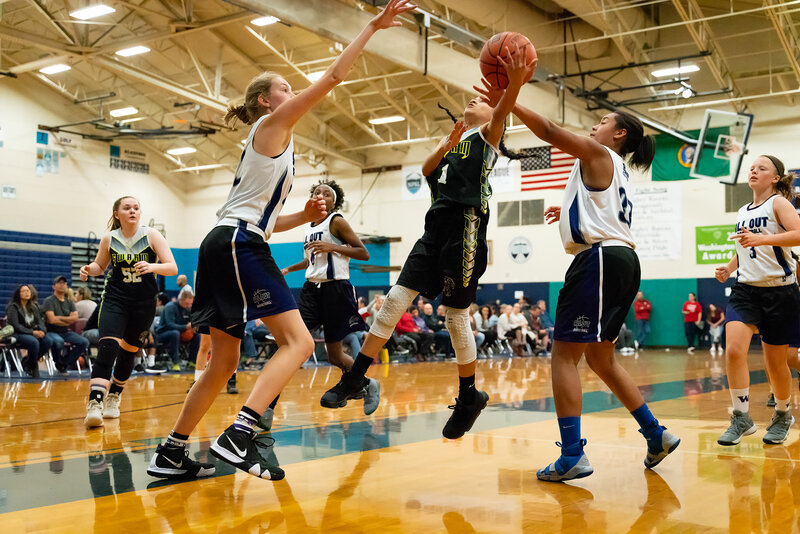 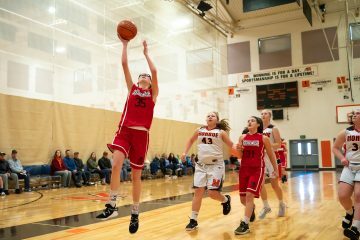 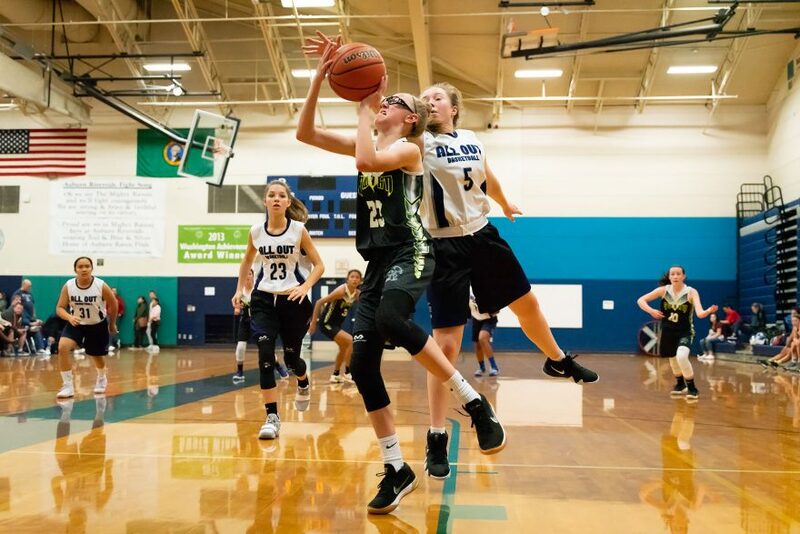 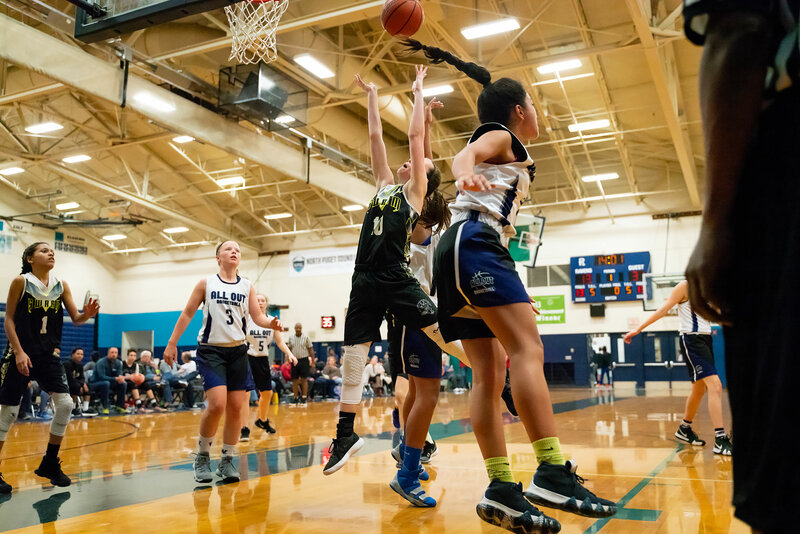 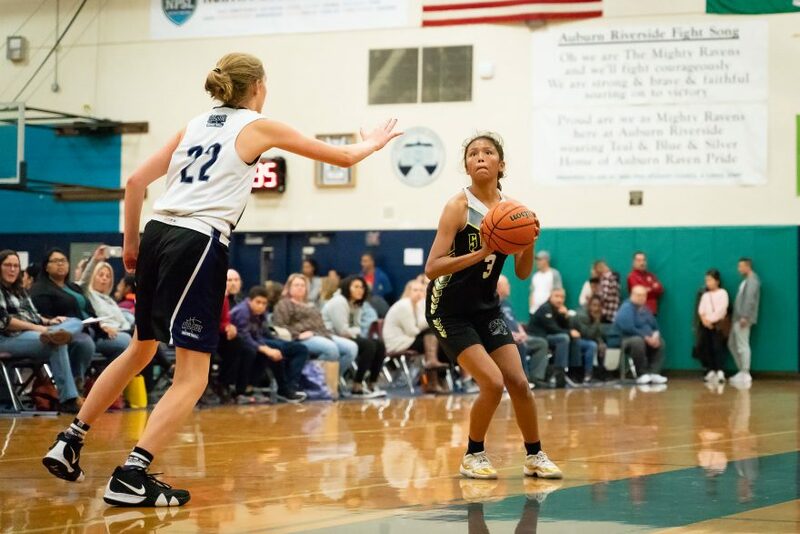 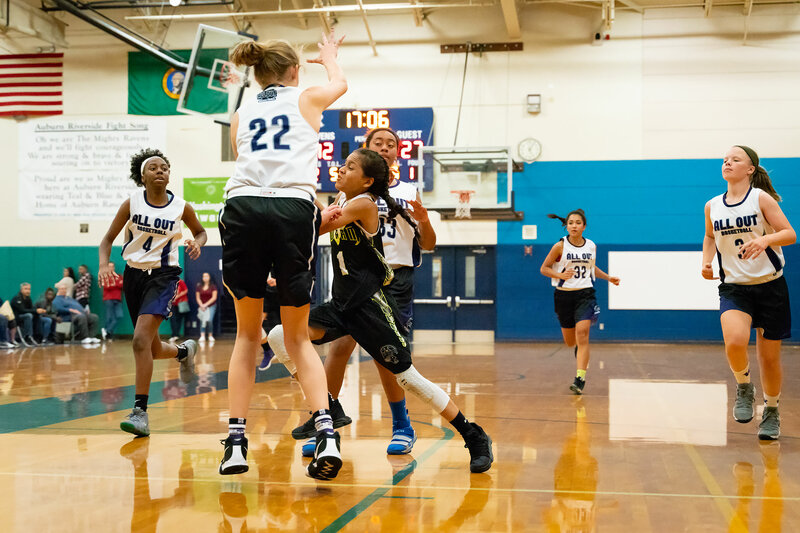 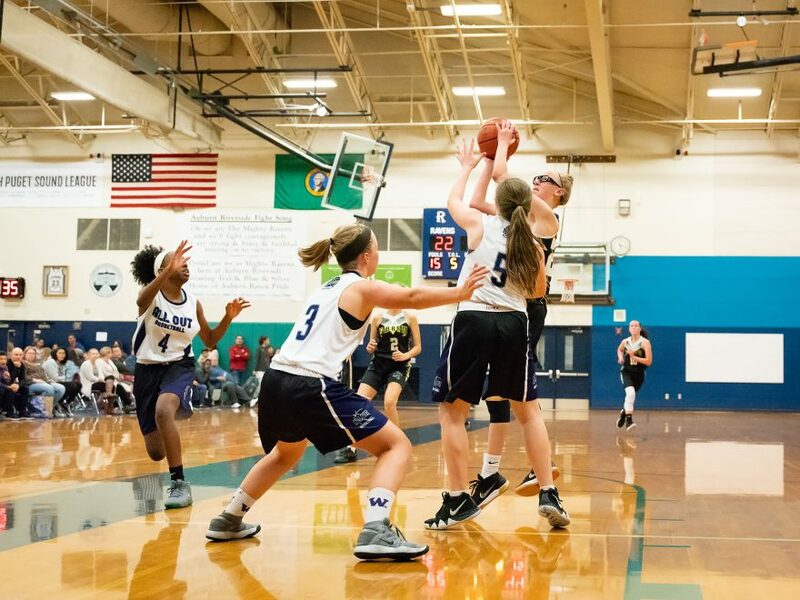 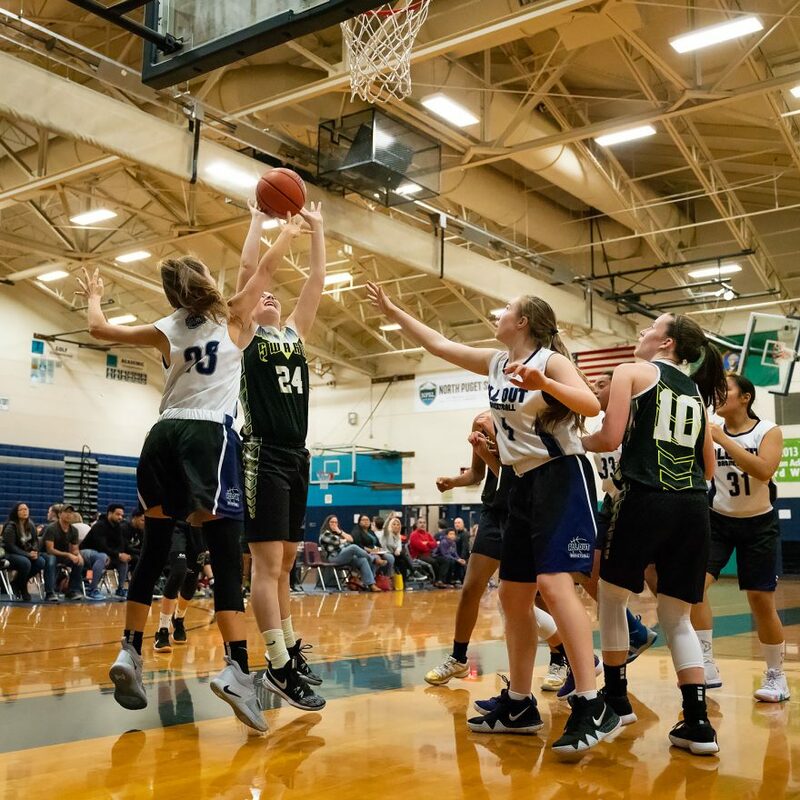 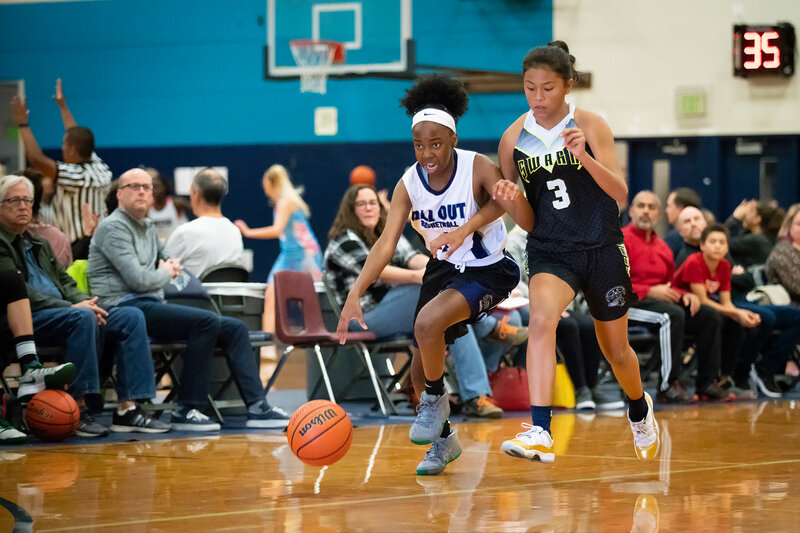 For most of the first quarter of Saturday’s game at Riverside High School in Auburn, the Swarm and AOC kept the game close, both teams playing strong defense, and the score remained low. After eight minutes of play, All Out led by only two points, at 6-8. 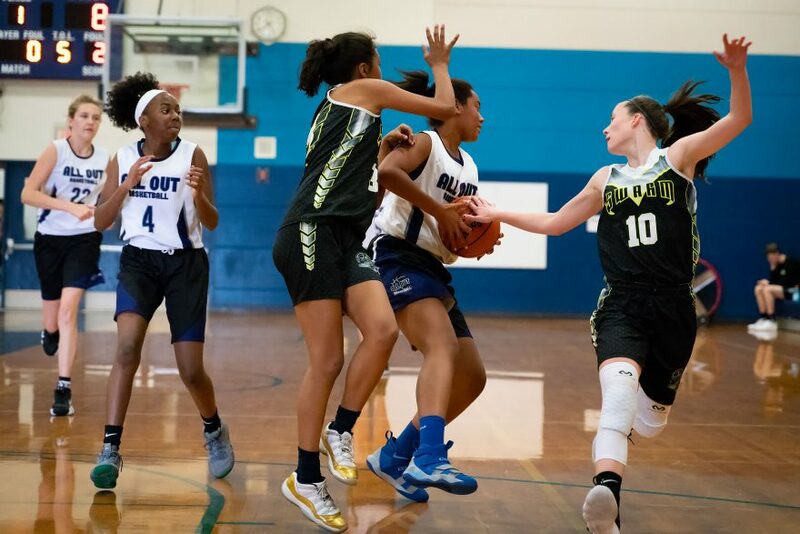 As the half went on, though, All Out found their rhythm and began to pull ahead. 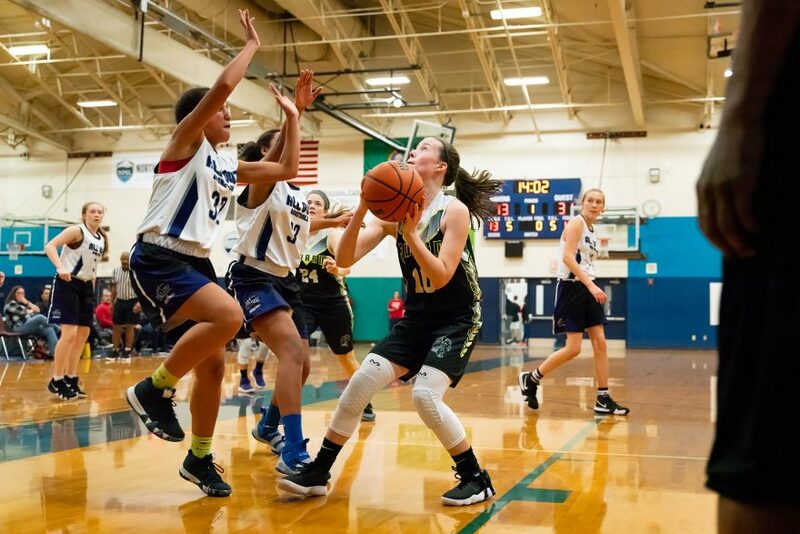 With 7:30 left in the half, AOC had shut down the Swarm’s offense and already doubled the Swarm’s score, at 6-14. 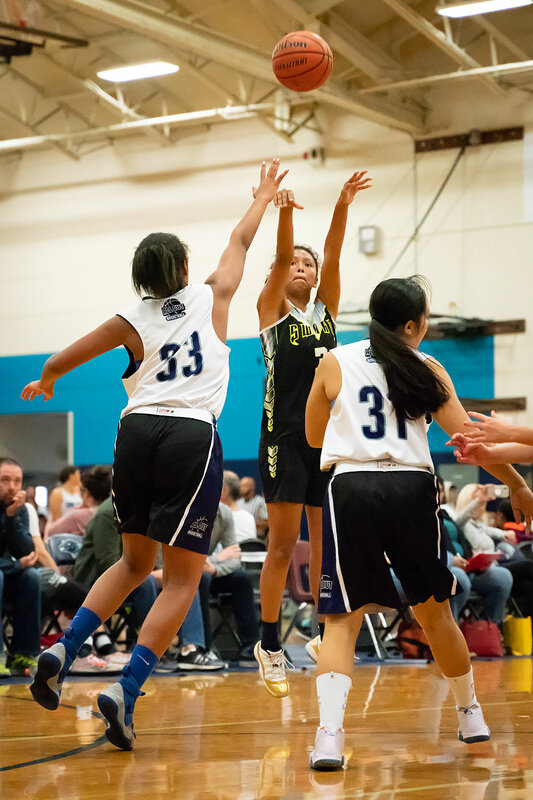 But the Swarm regrouped and kept All Out gave up only one field goal during the next three and a half minutes. 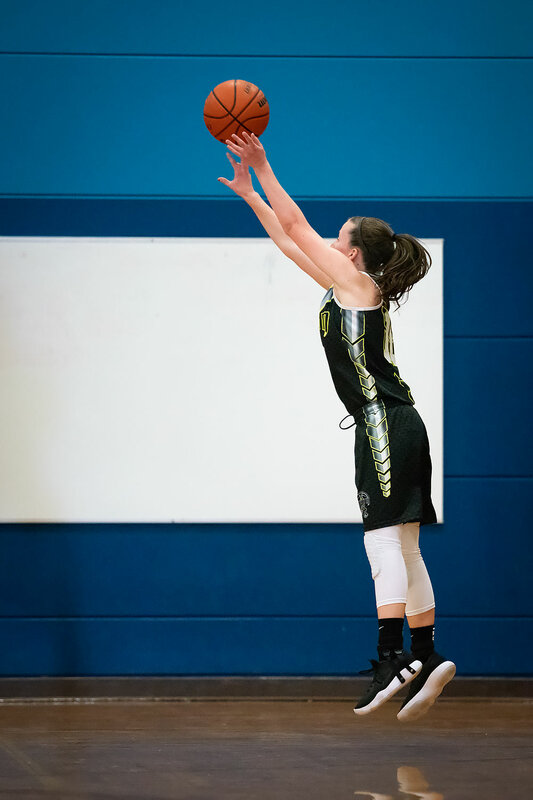 With four minutes left in the half, the score was 8-18 after AOC made a pair of free-throws. 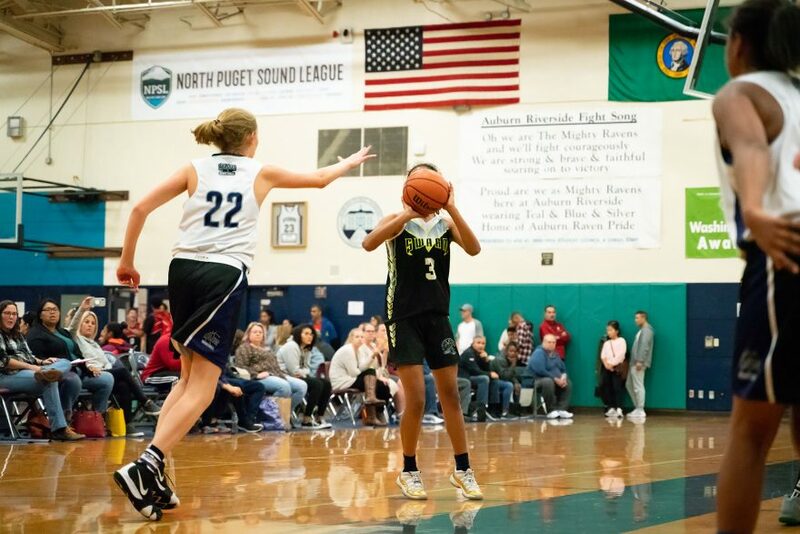 From there, the scoring gap continued to grow. 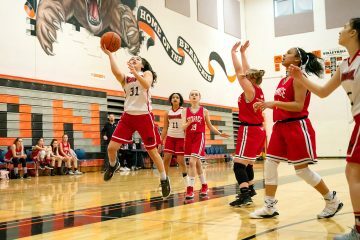 At halftime, the score was 12-25, and five minutes in the second half, it was 13-31. 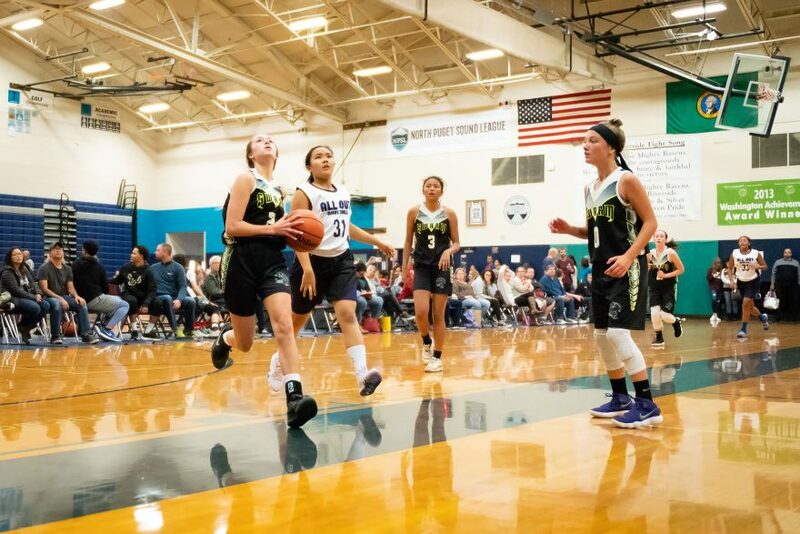 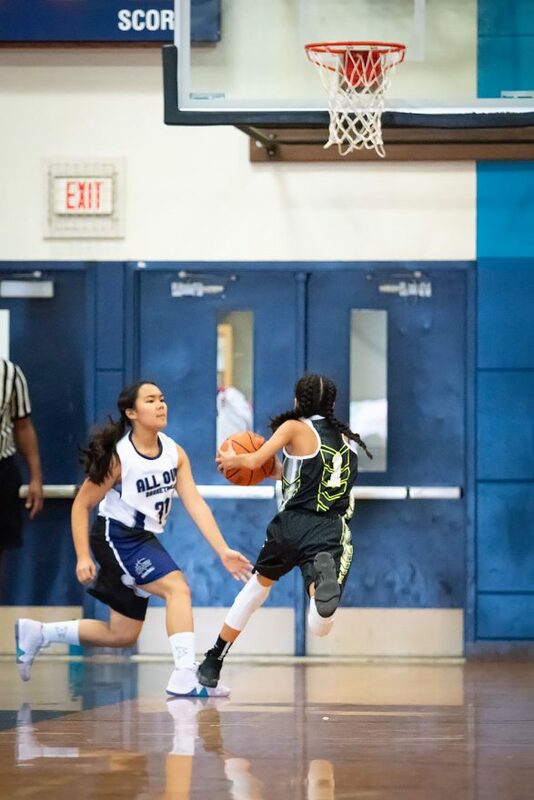 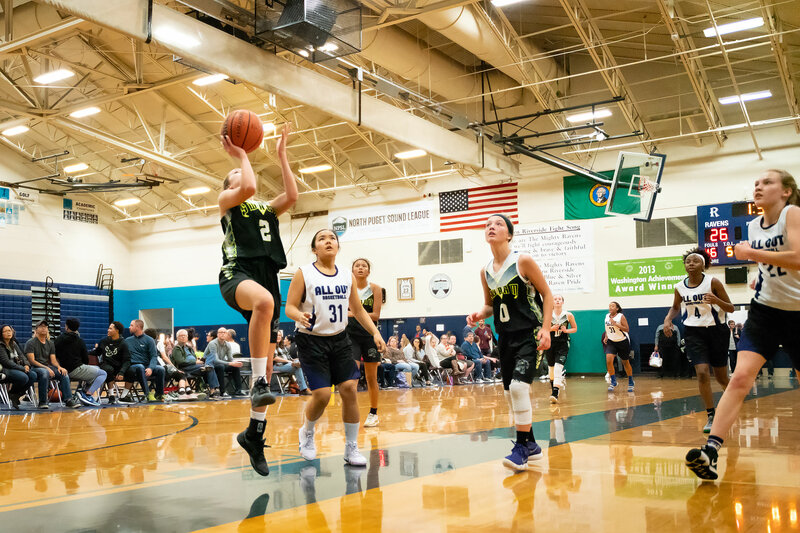 Midway through the second half, the Swarm tightened up their game and scored on a series of fiercely contested layups, bringing their total up to 24, and holding AOC at 44 points for a full four minutes. In the end, though, the Swarm could not make up the difference. Final Score 28-52 (Winner, All Out Chaos).